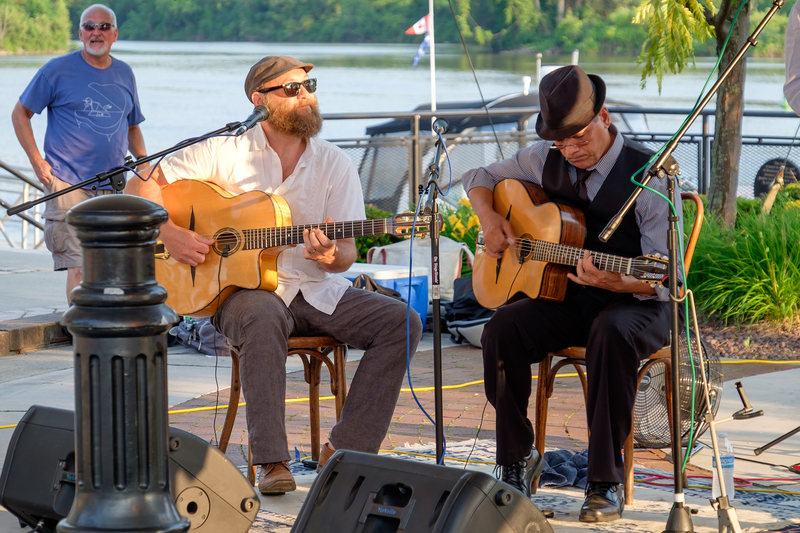 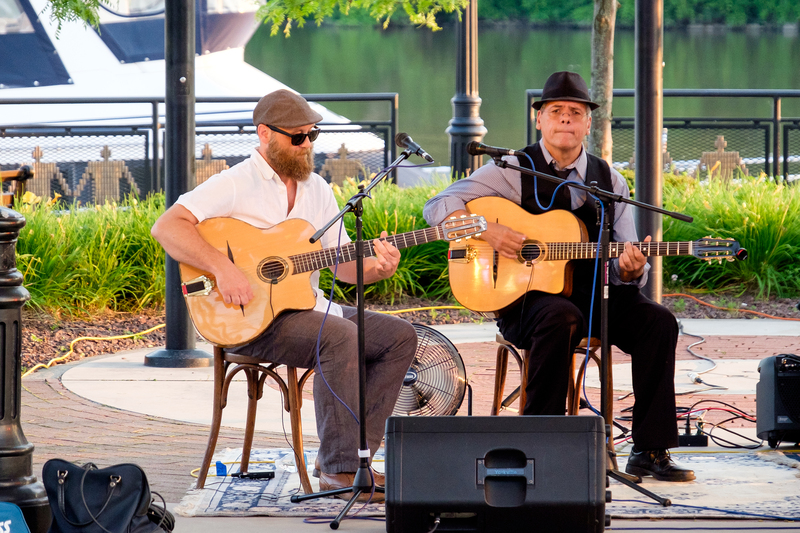 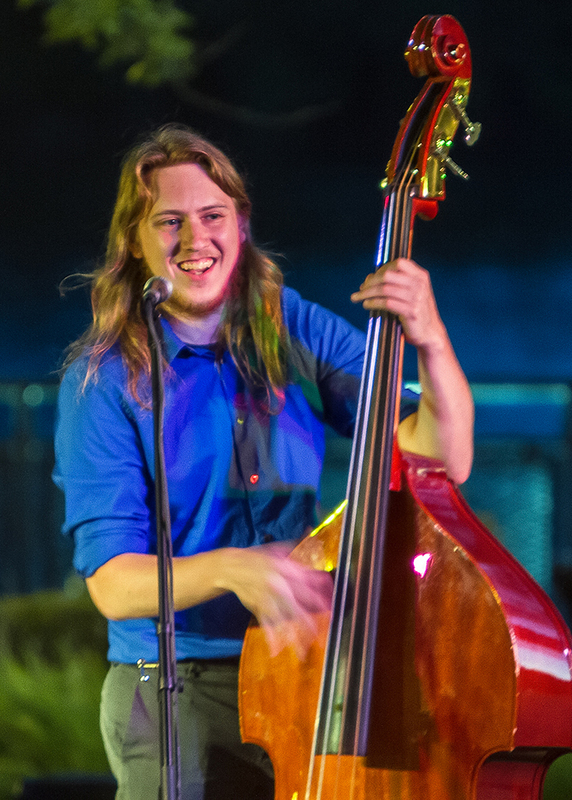 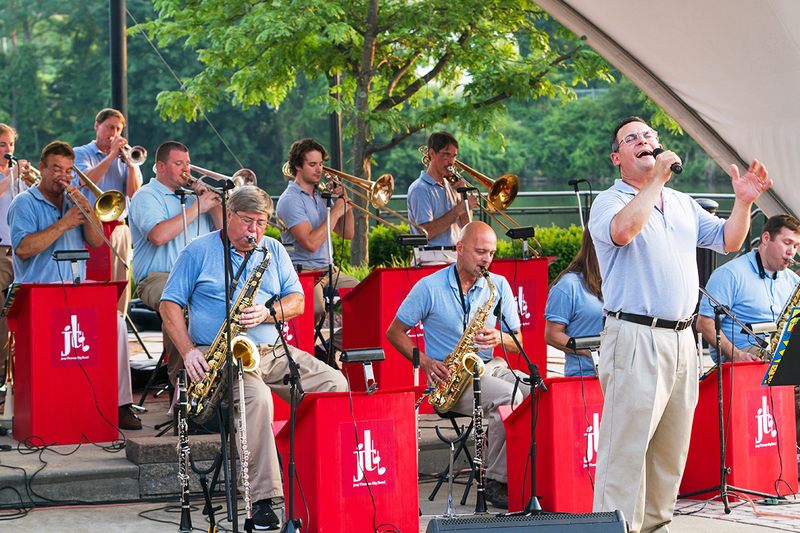 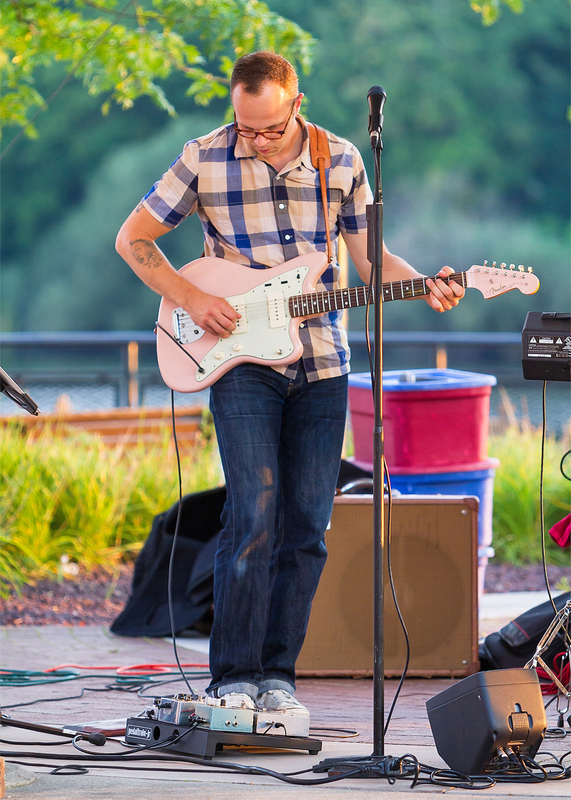 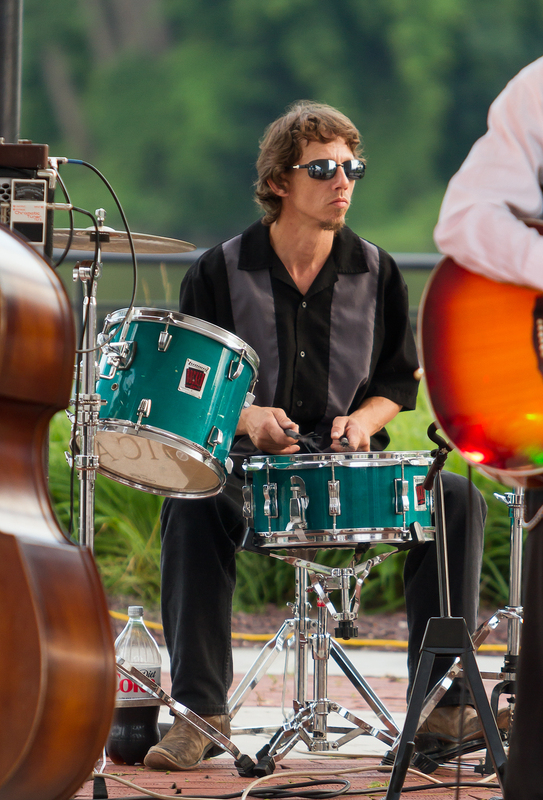 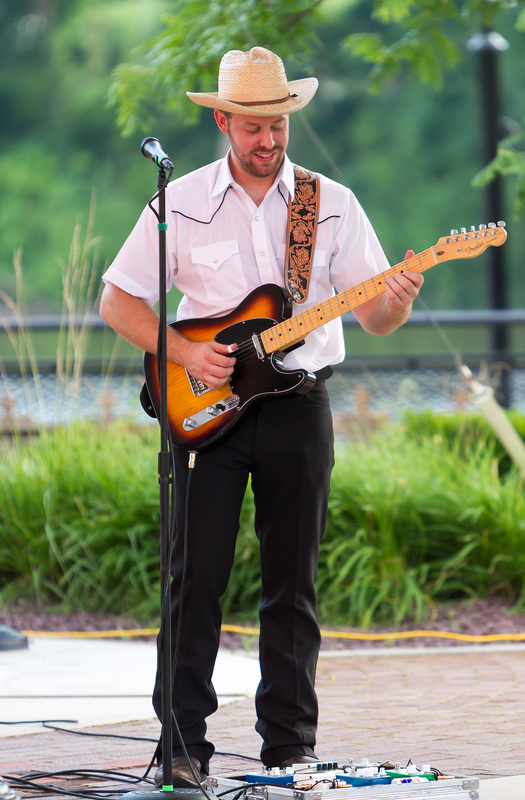 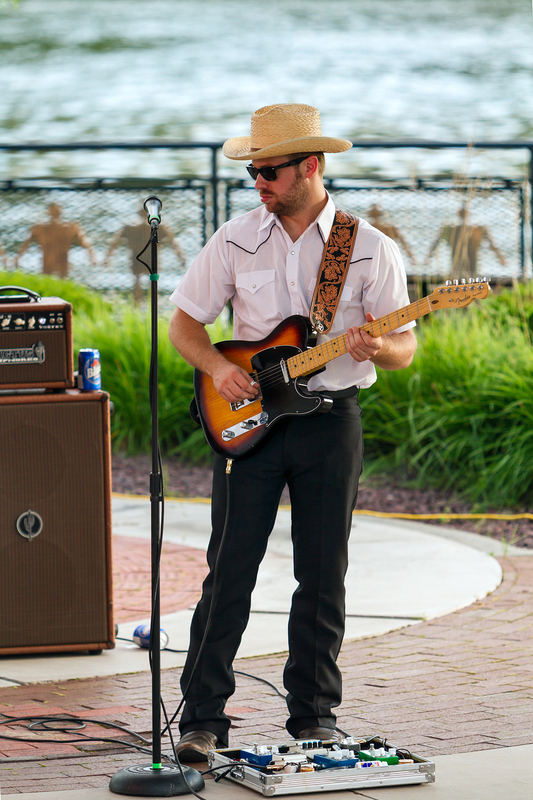 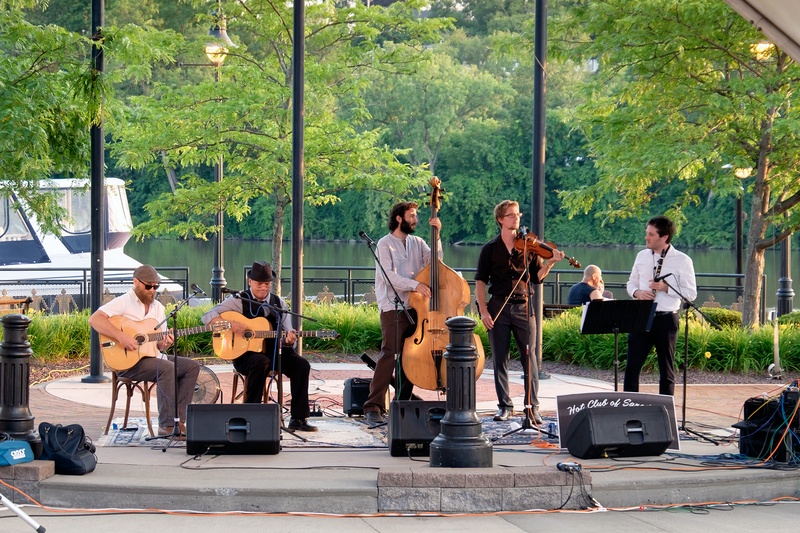 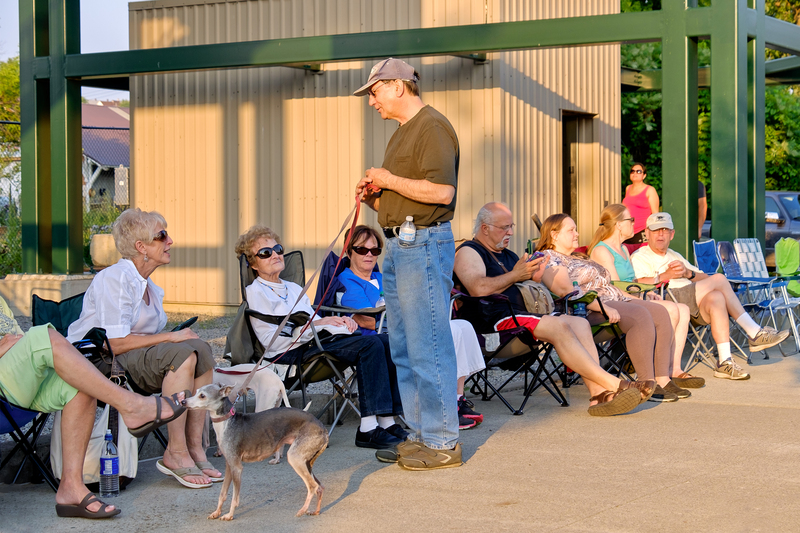 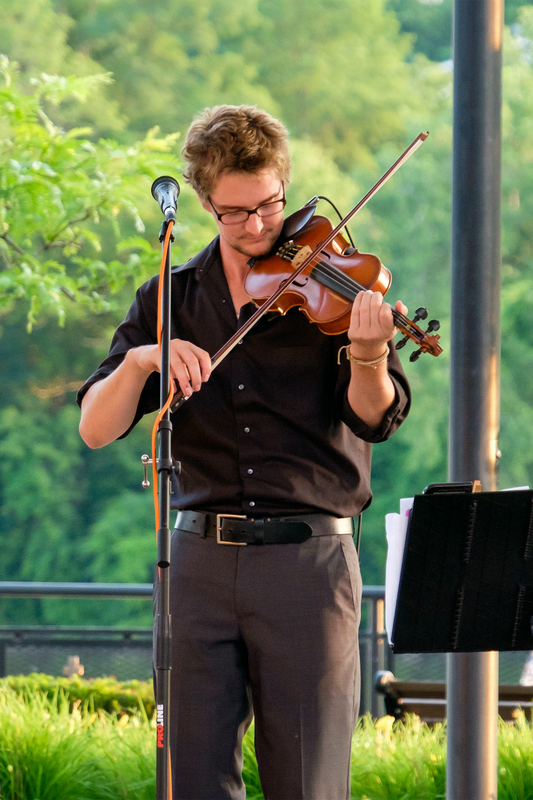 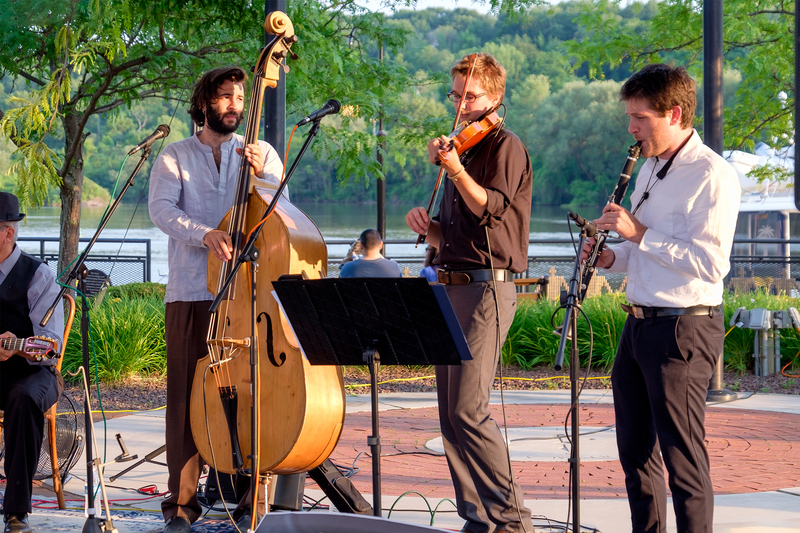 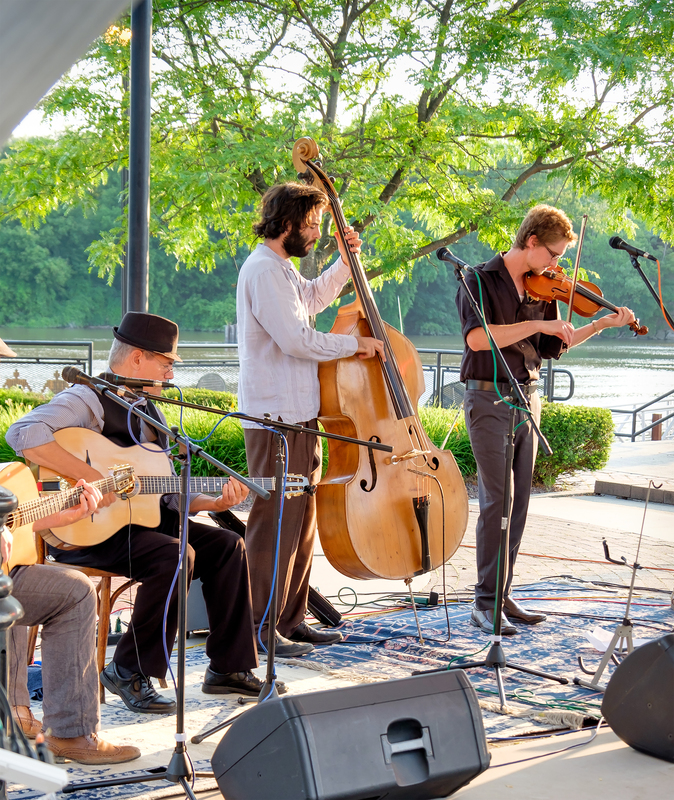 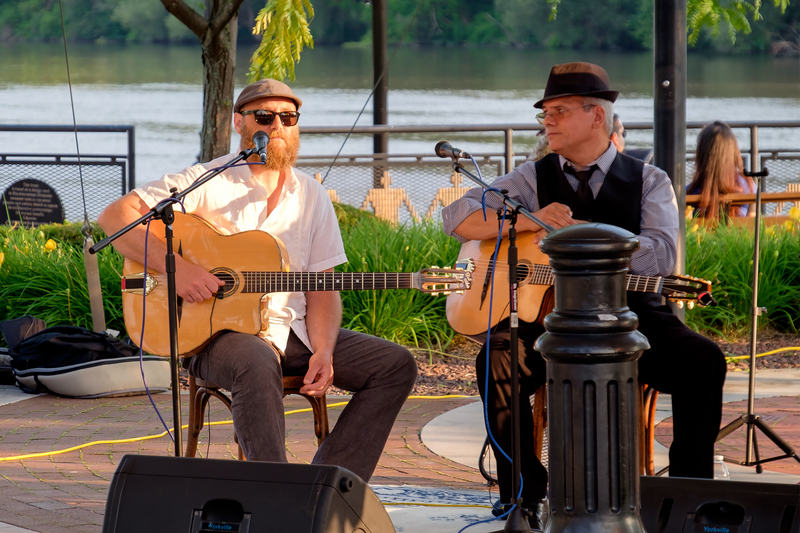 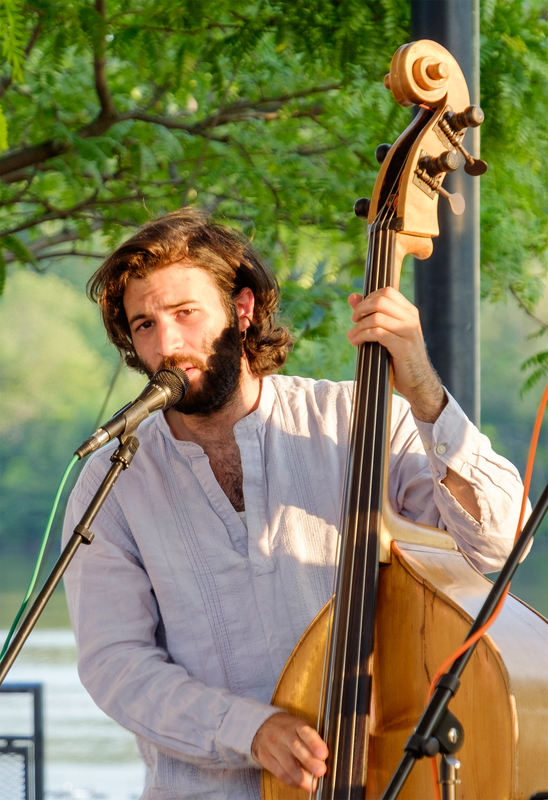 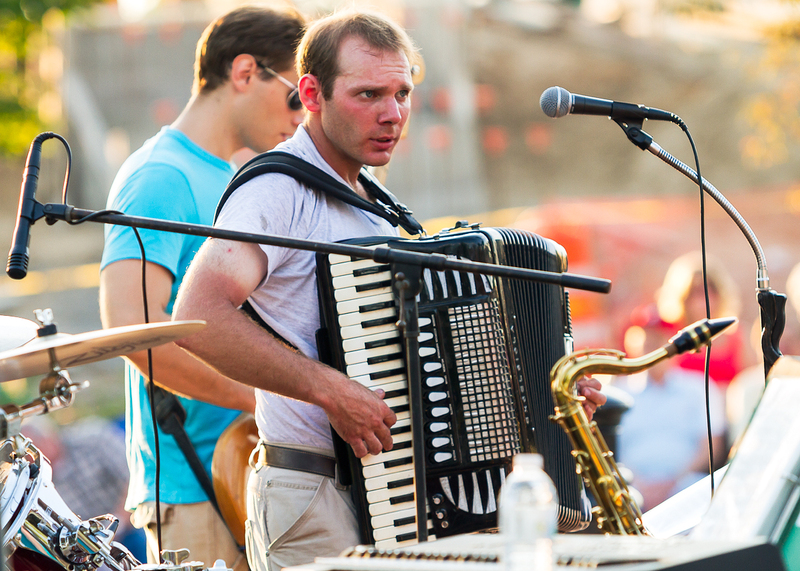 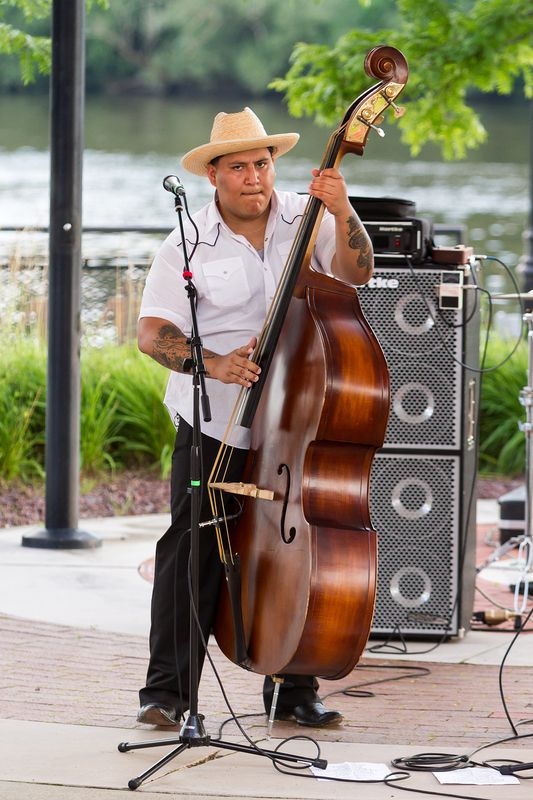 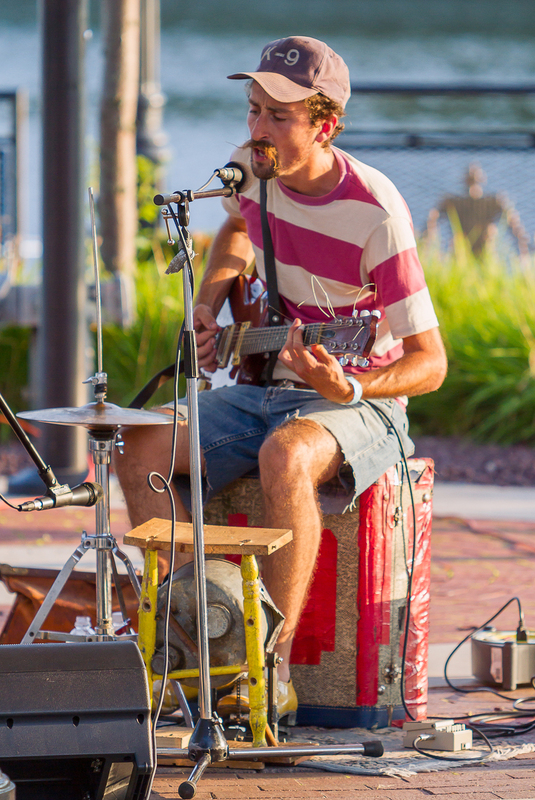 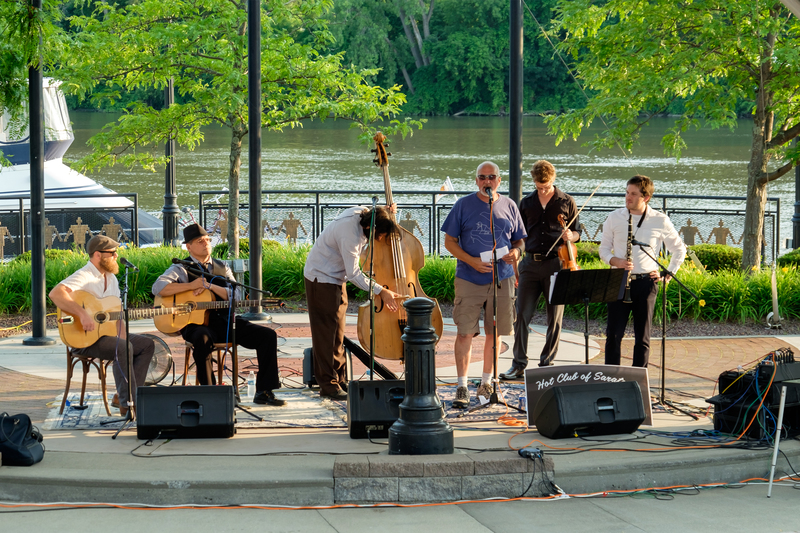 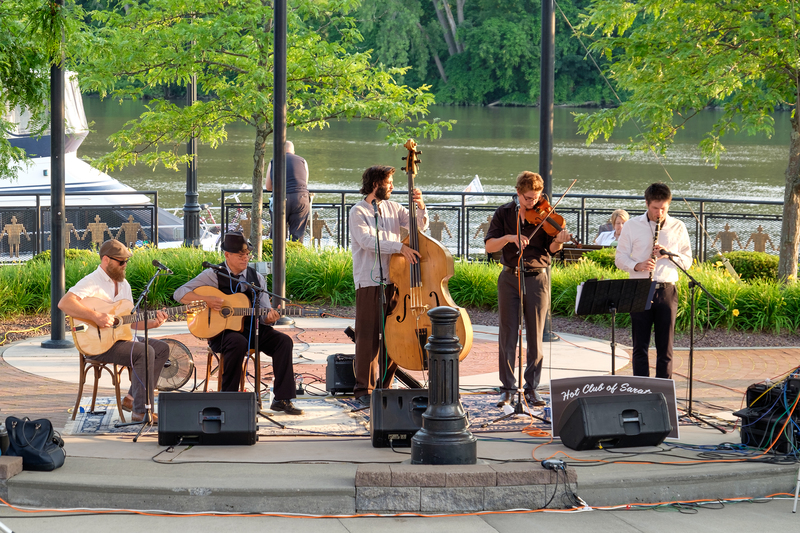 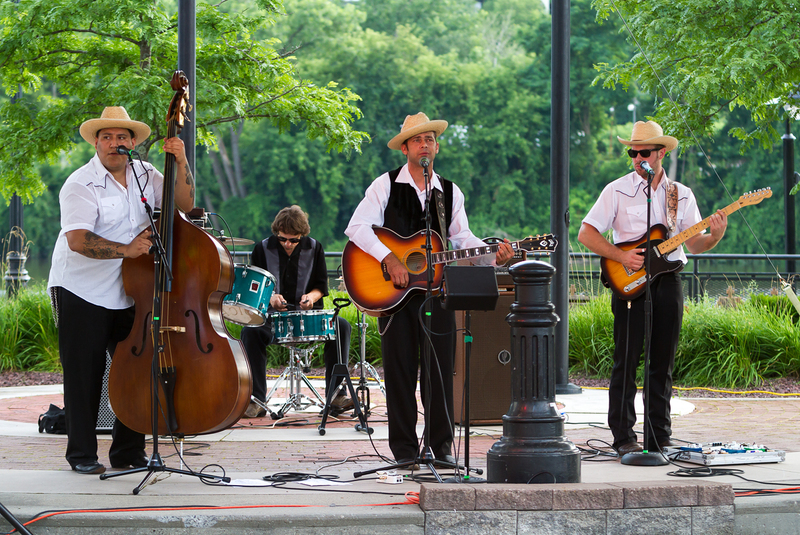 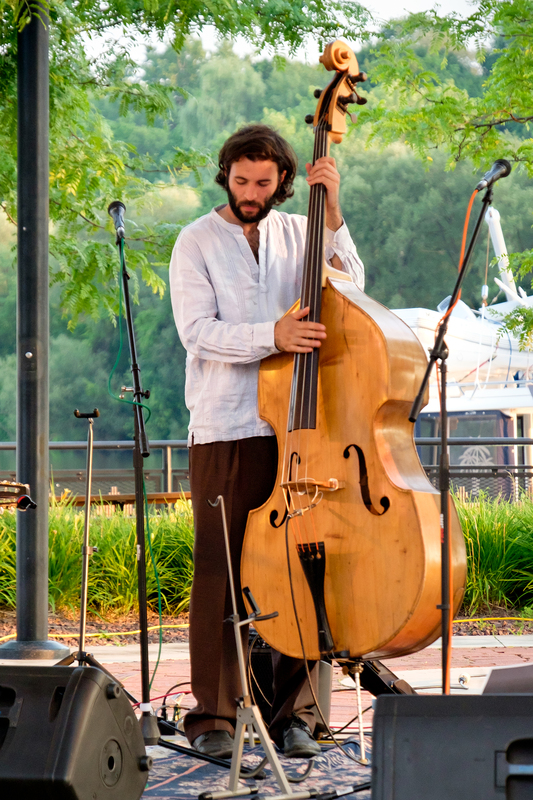 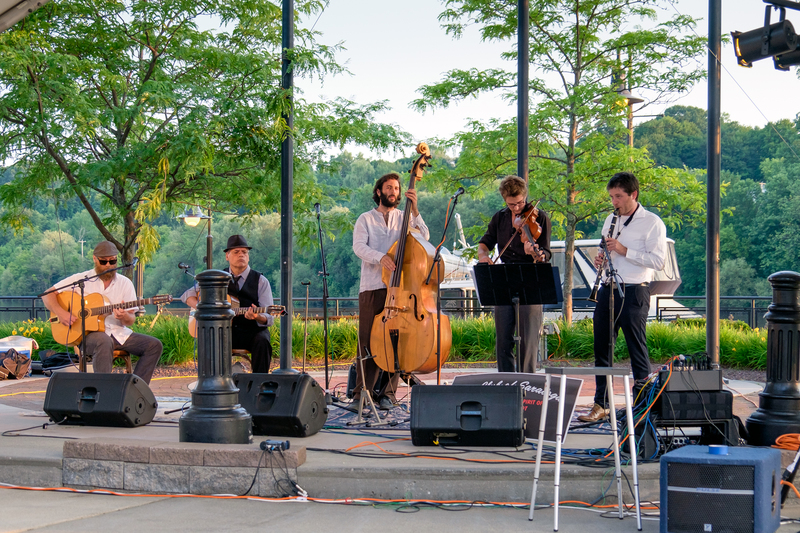 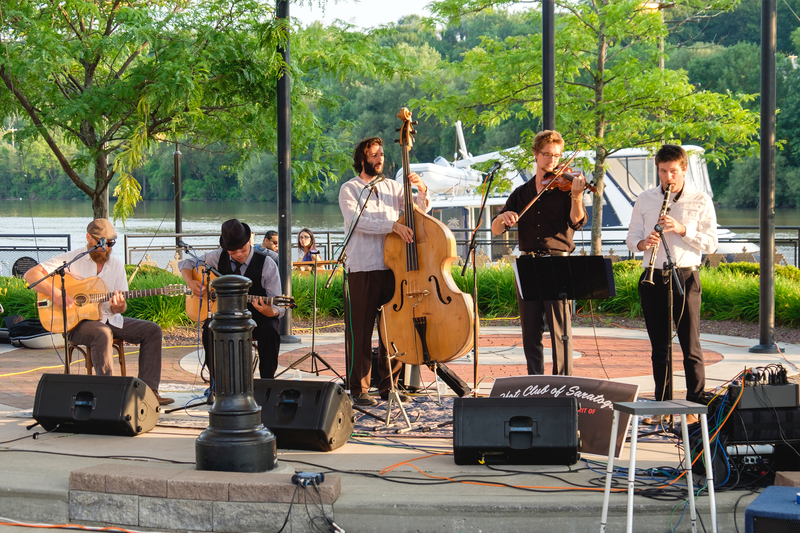 Riverlink Park in Amsterdam came alive Saturday night with the sound of gypsy swing. 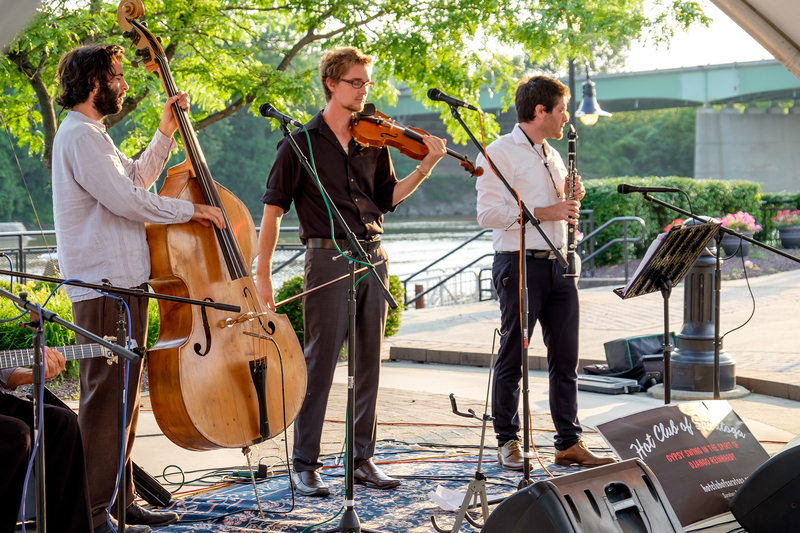 Hot Club of Saratoga, upstate New York’s premiere gypsy swing quintet, played a repertoire reflecting the spirit and style originated by Django Reinhardt and Stephane Grappelli most prominent in the 1930’s. 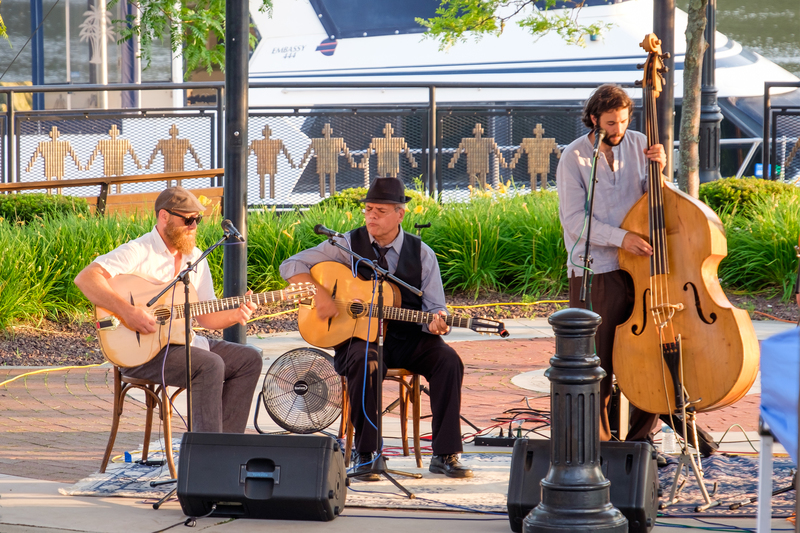 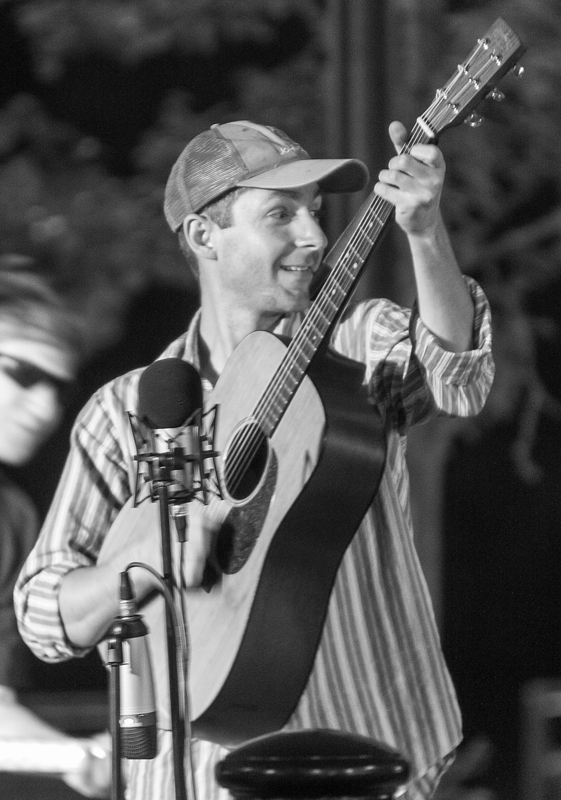 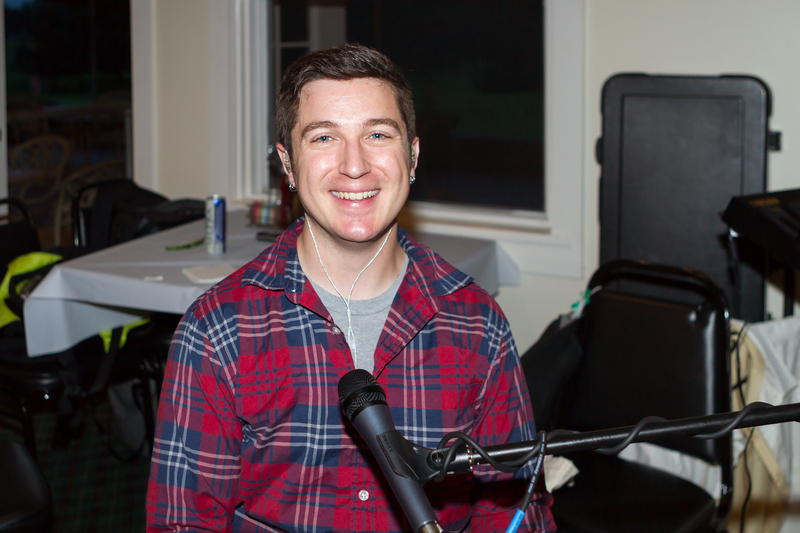 The band consists of Chad Tallman on solo guitar, Chuck Kish on rhythm guitar, Tucker Callander on violin, Jonathan Greene on clarinet and Dylan Perillo on string bass. 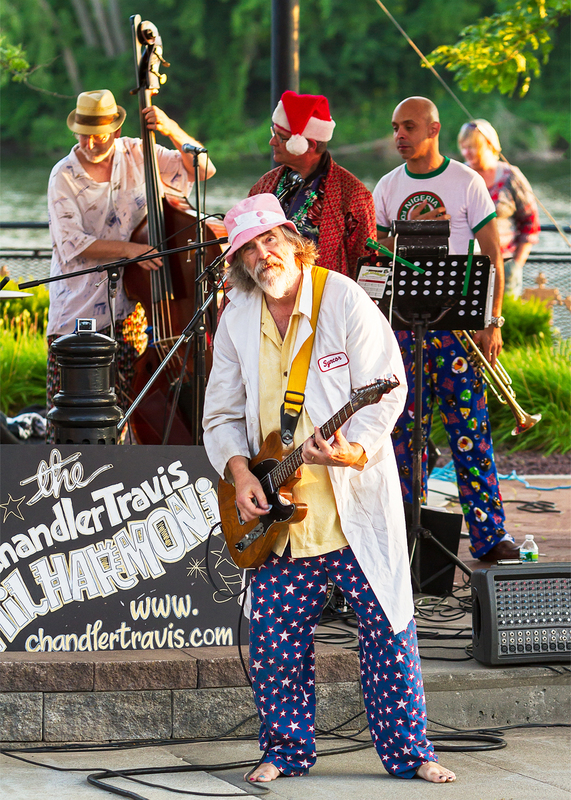 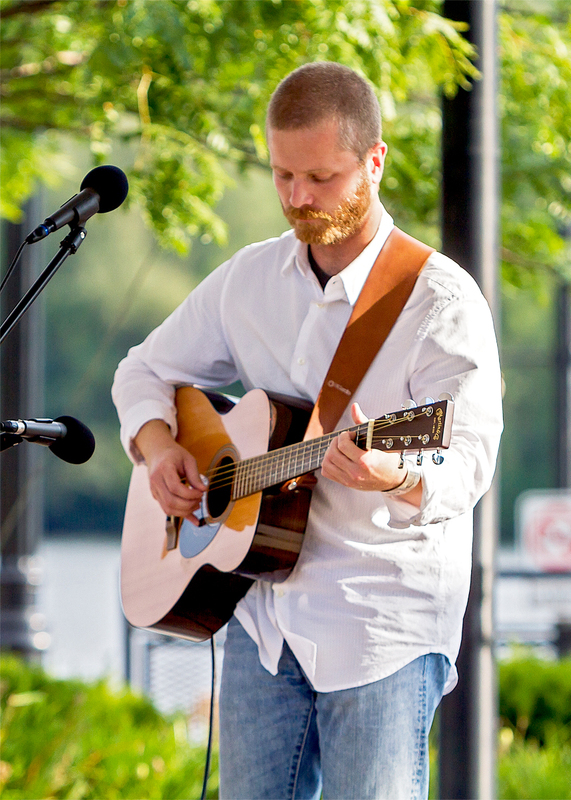 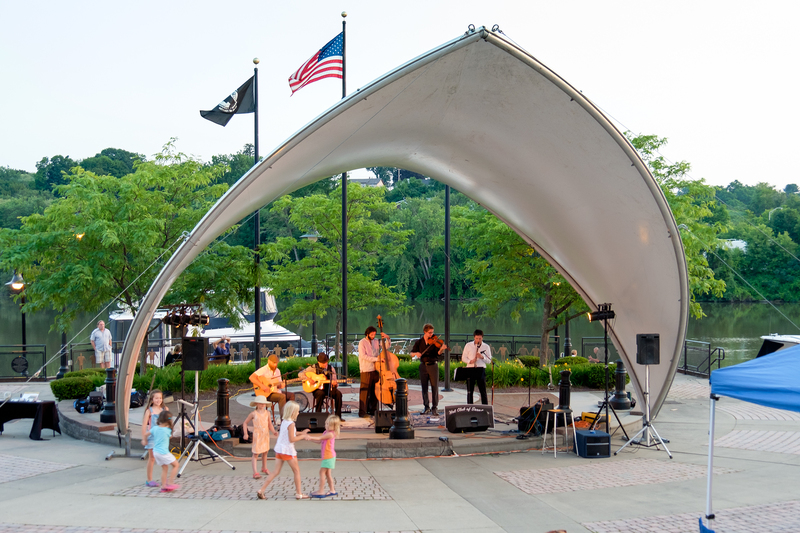 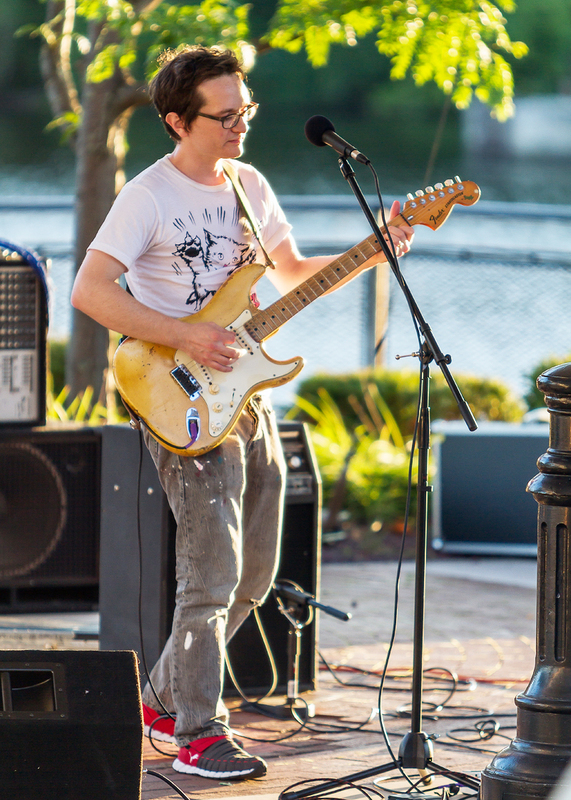 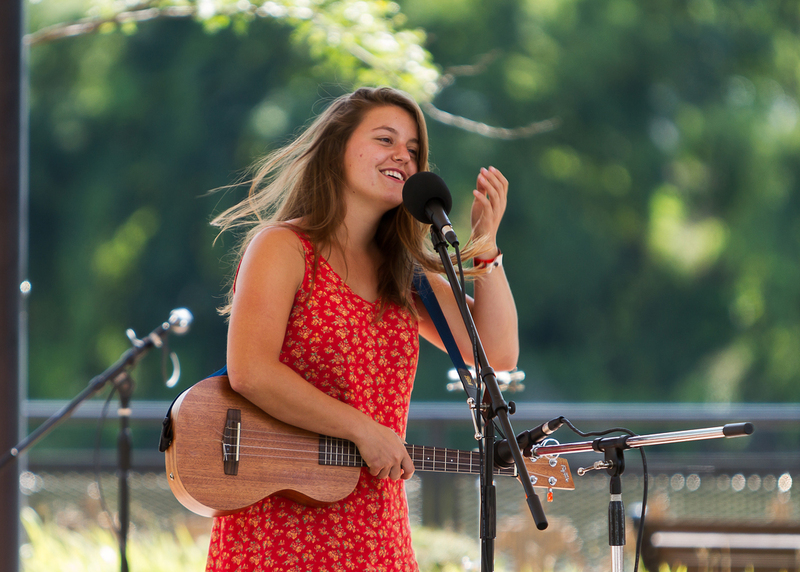 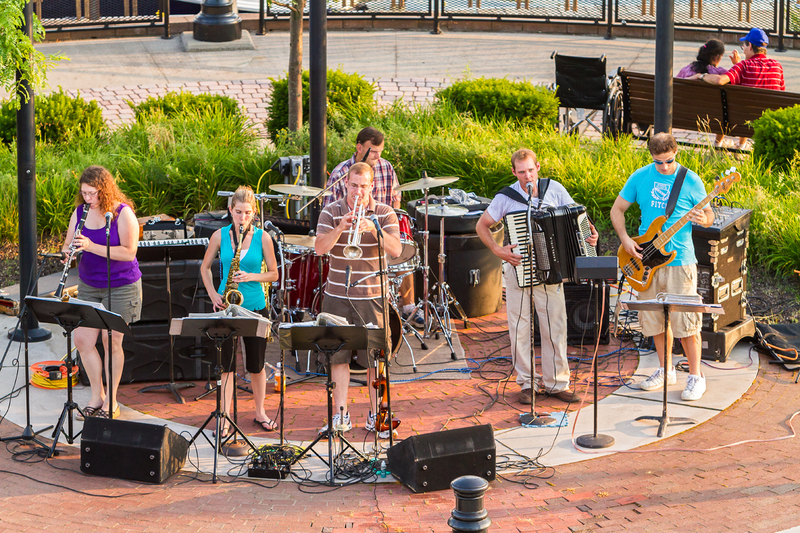 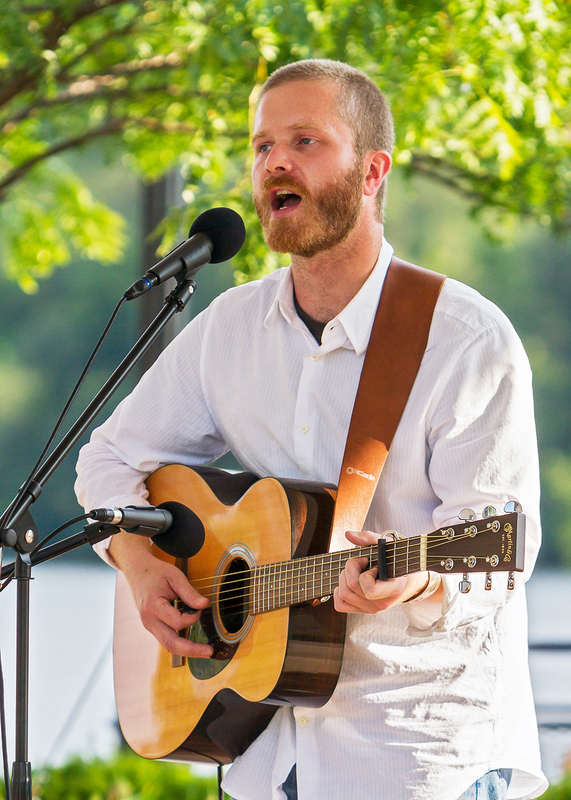 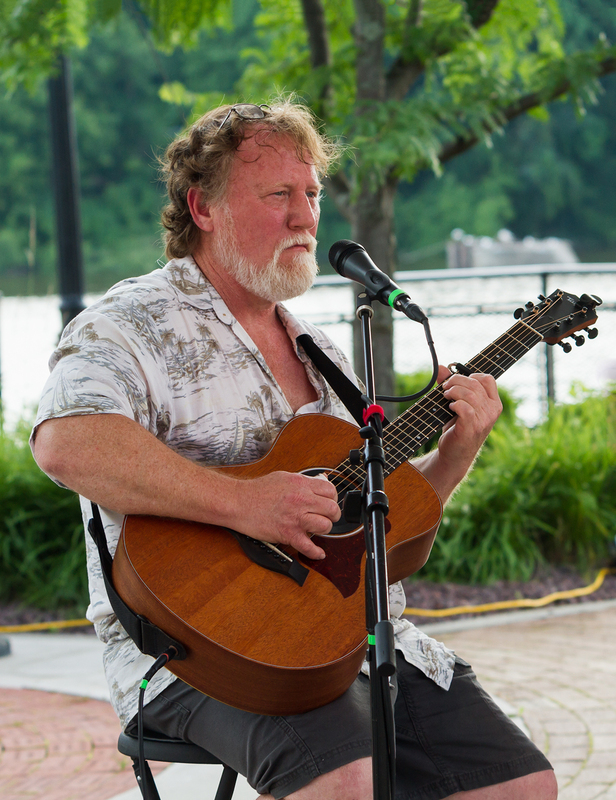 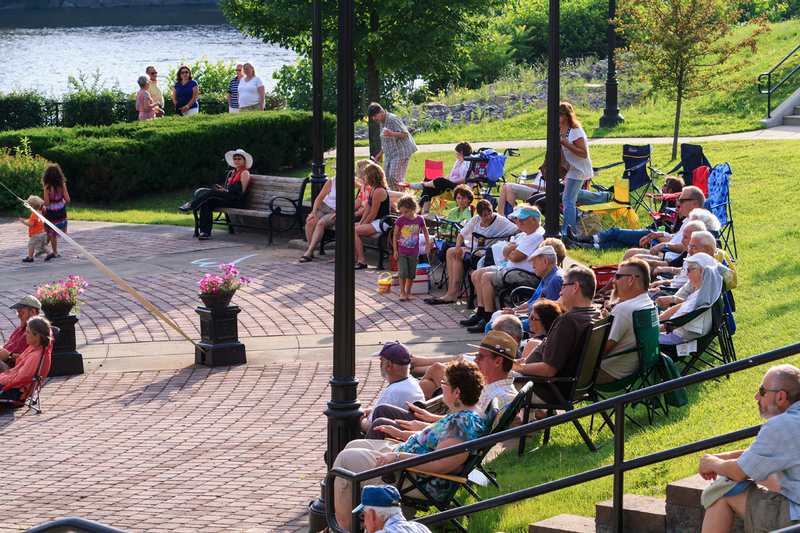 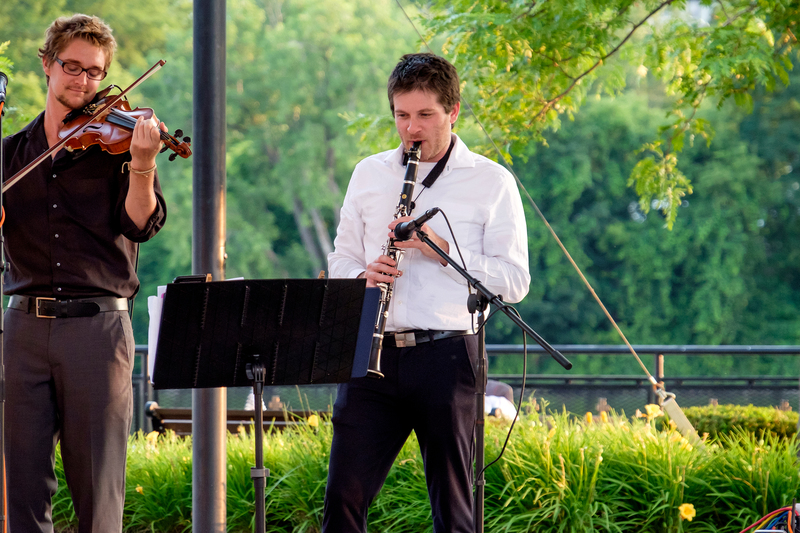 Thanks to the efforts of the Amsterdam Waterfront Foundation, the Riverlink Concert Series presents free concerts every Saturday night at 7pm. 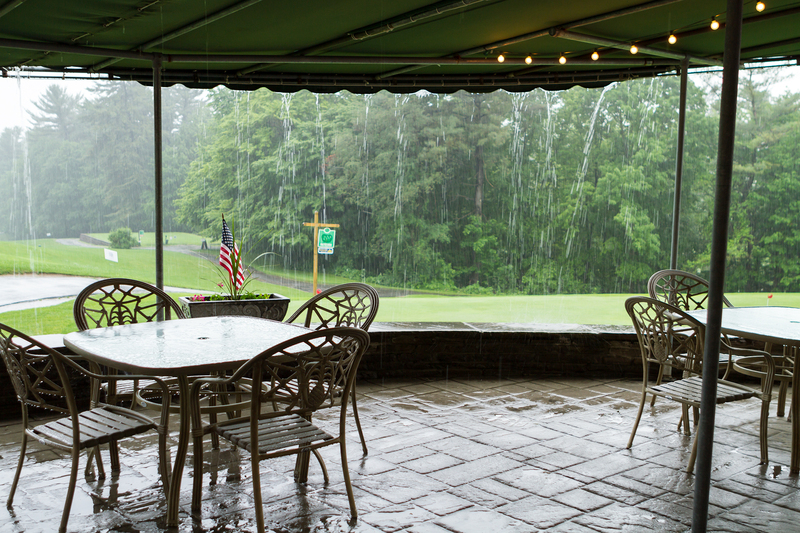 It was Friday the 13th and we were on our 3rd day of continual rain. 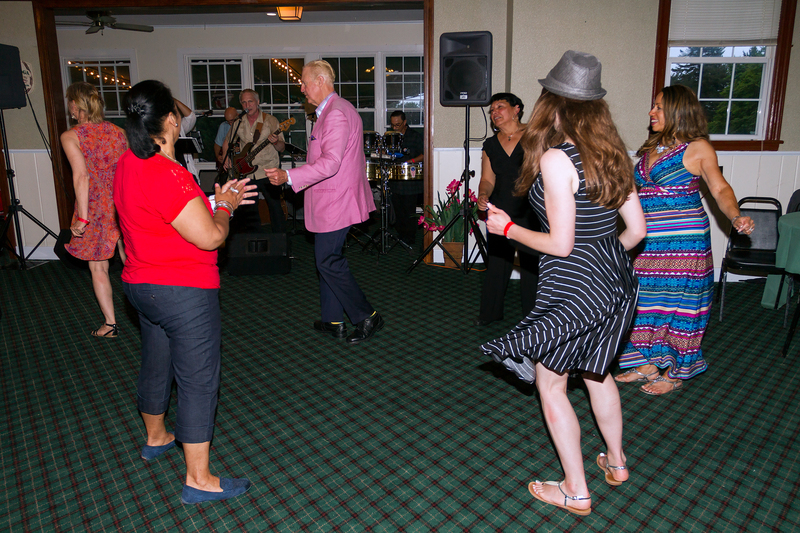 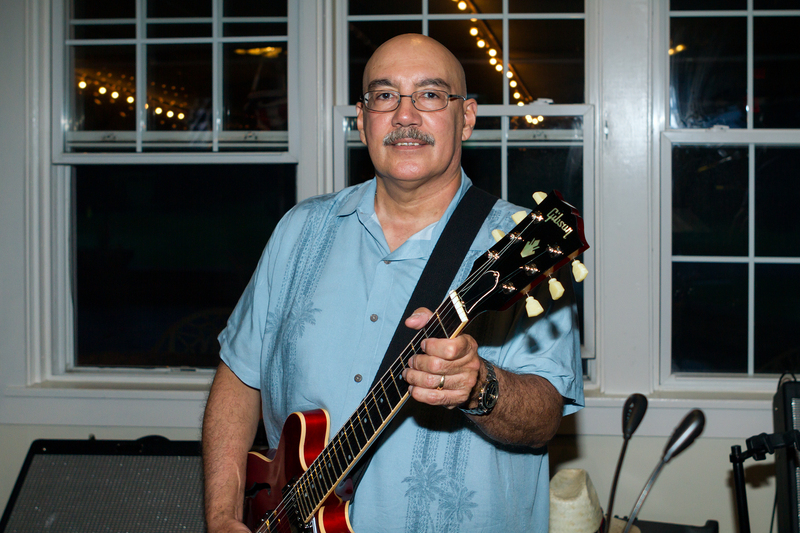 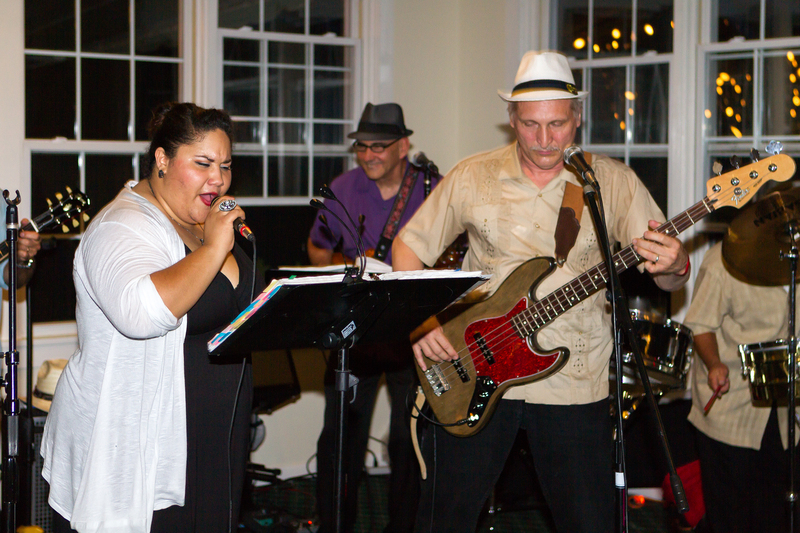 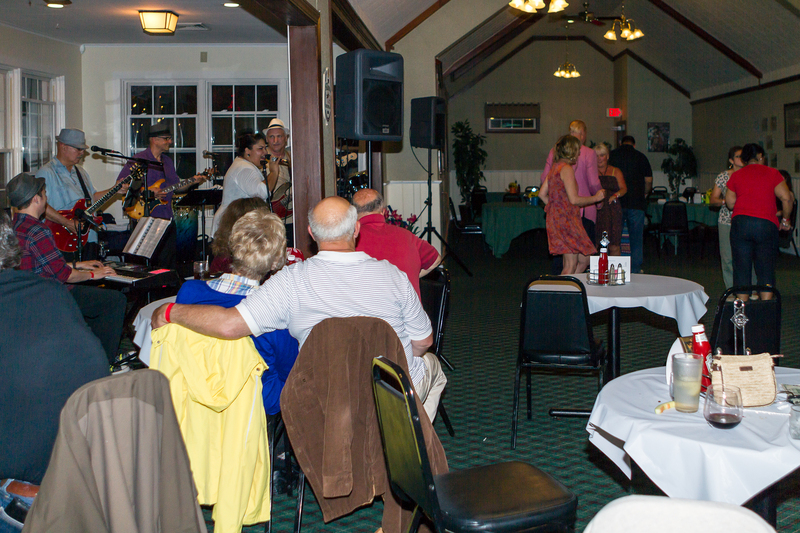 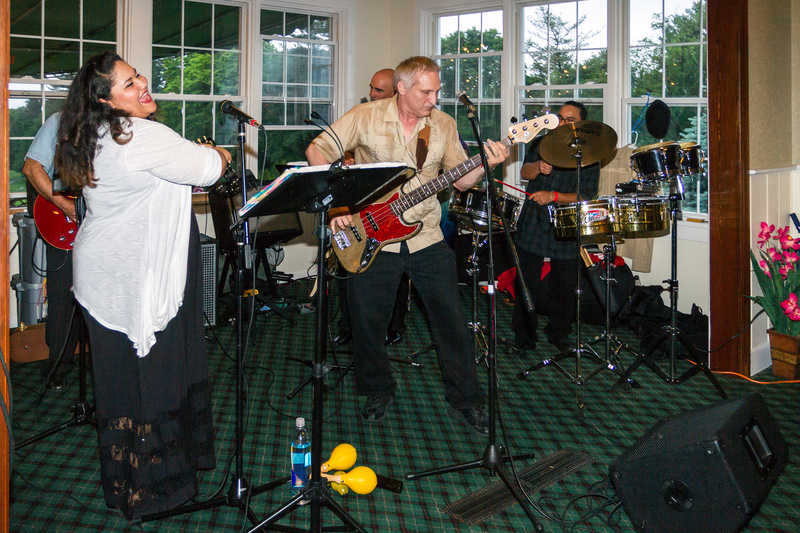 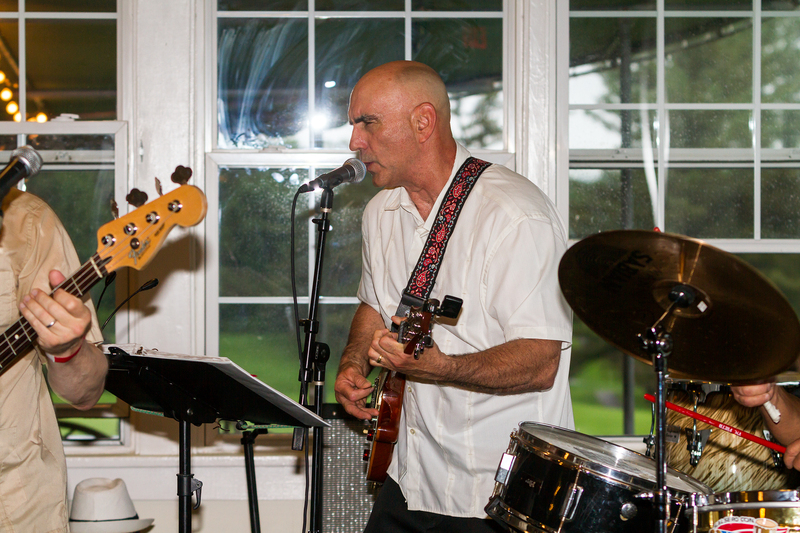 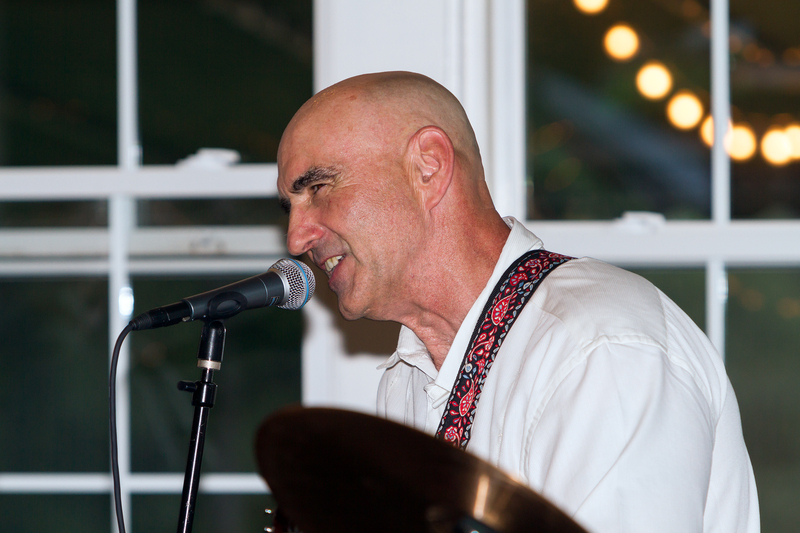 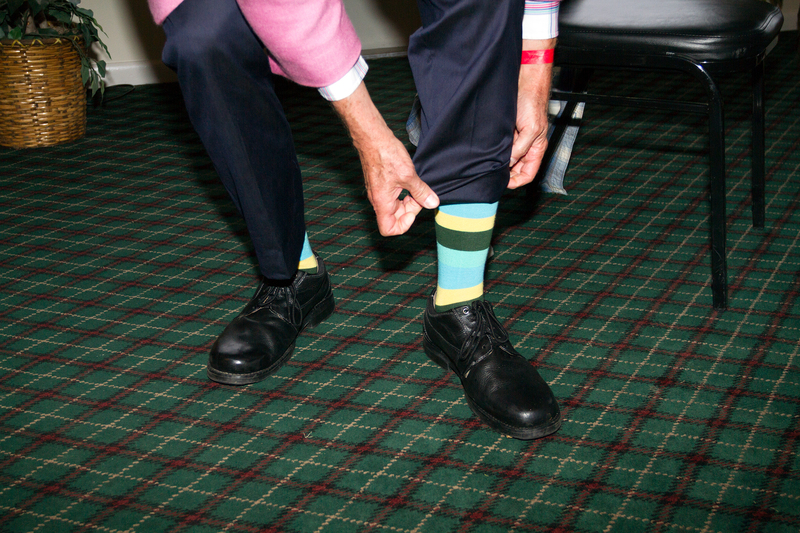 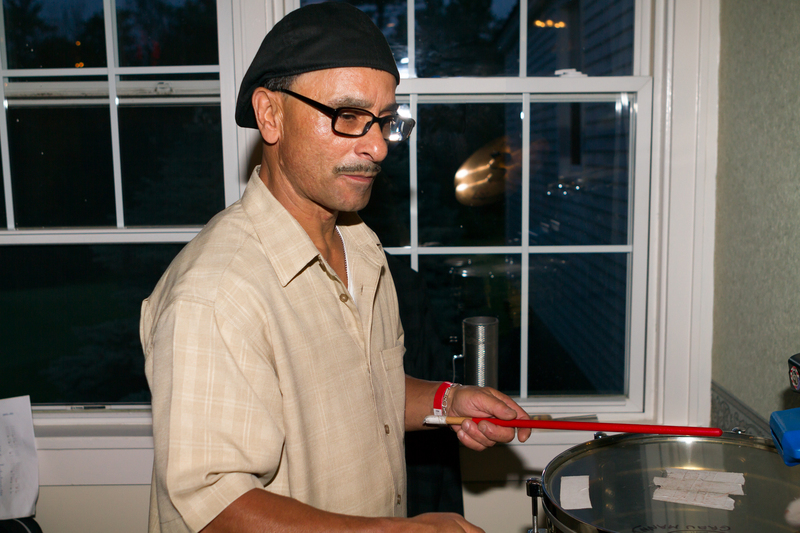 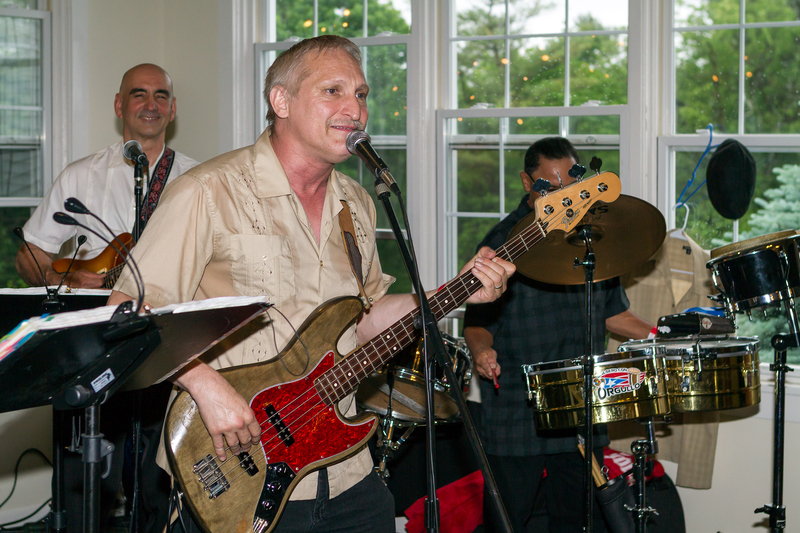 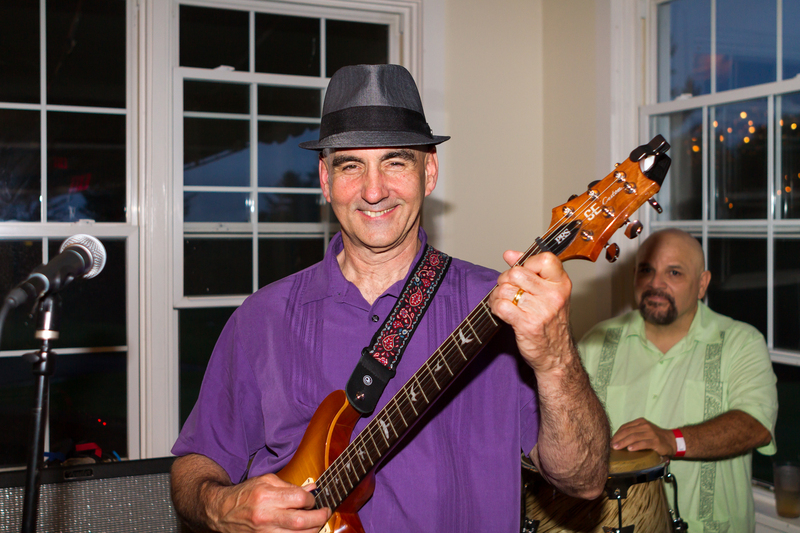 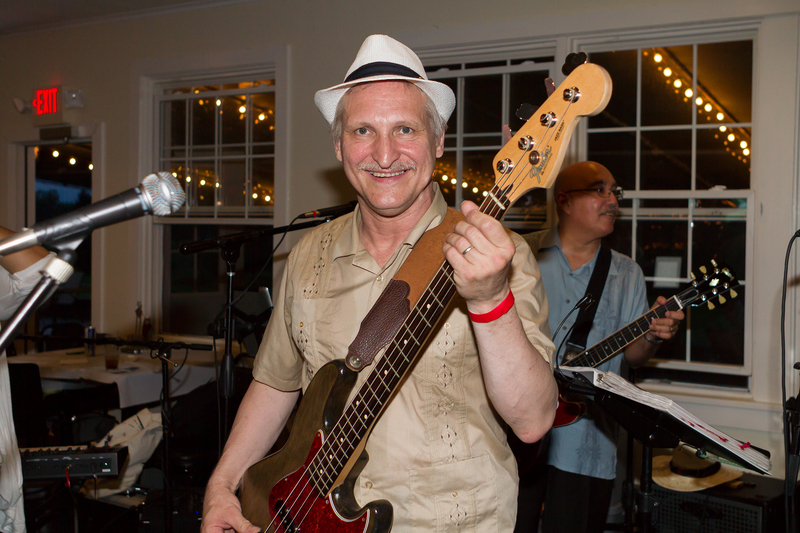 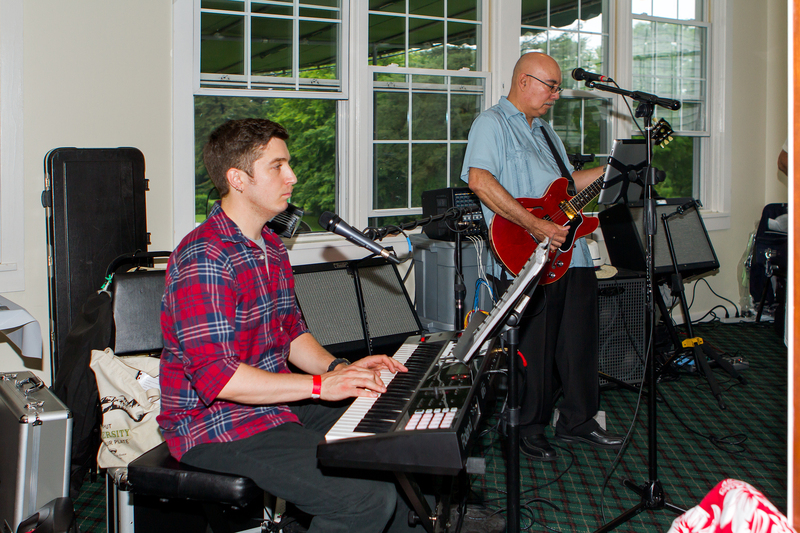 The flood alert issued by New York State for Montgomery County didn’t stop the dedicated fans of music, dance and great food who did attend the Amsterdam Waterfront Foundation Fundraiser held at Amsterdam’s Municipal Golf Course Clubhouse. 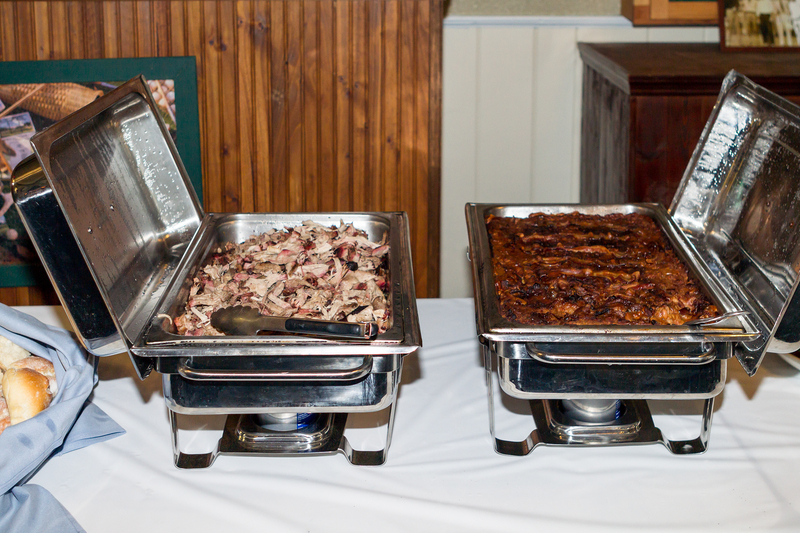 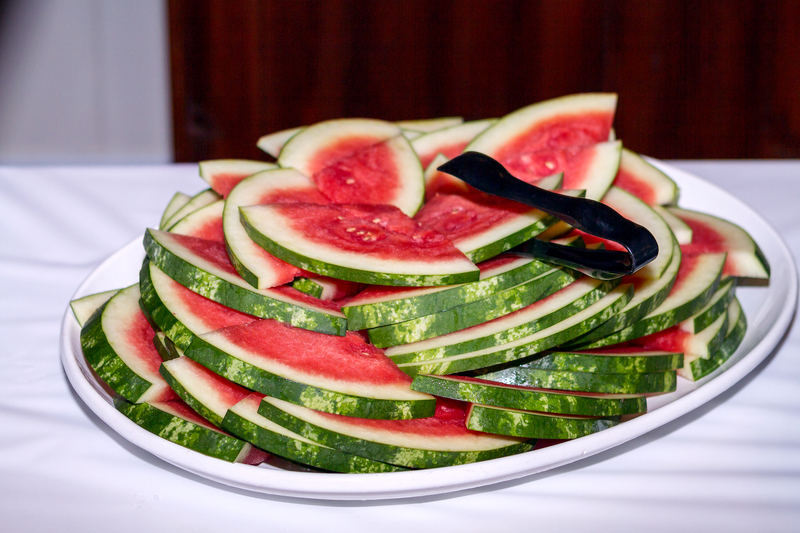 The rain did force the celebration indoors where the Clubhouse concessionaire and chef extraordinaire Laura Elmendorf served a most delicious pig roast with all the fixings. 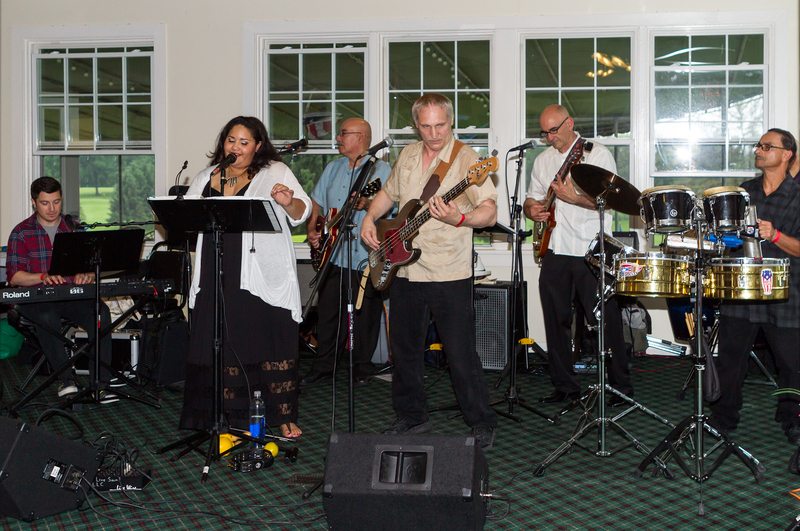 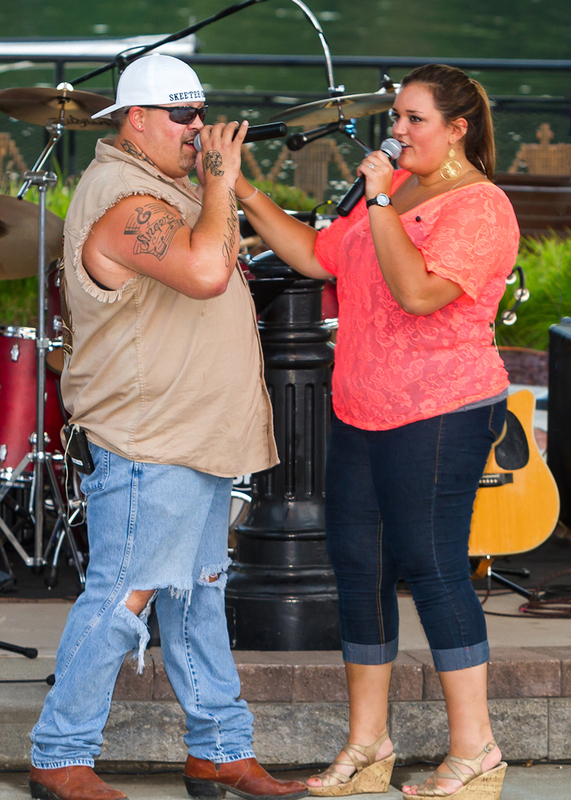 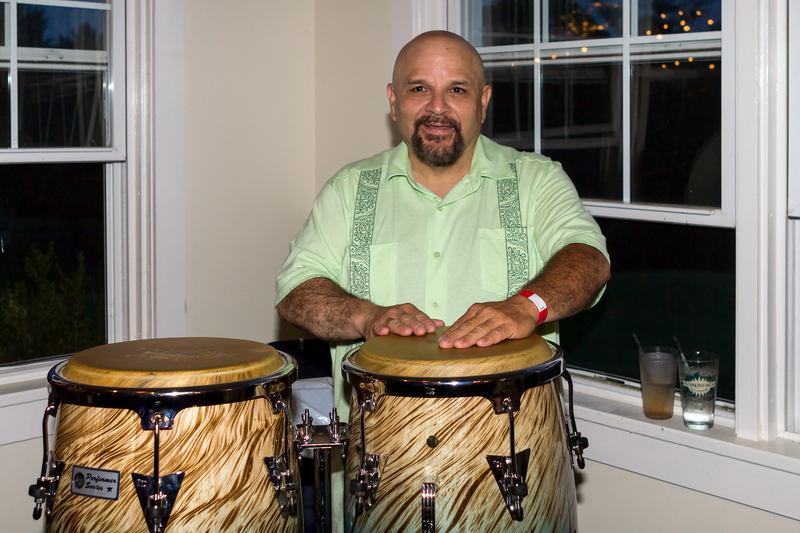 Tropic Rhythm donated their time and talent to aid Riverlink Concerts. 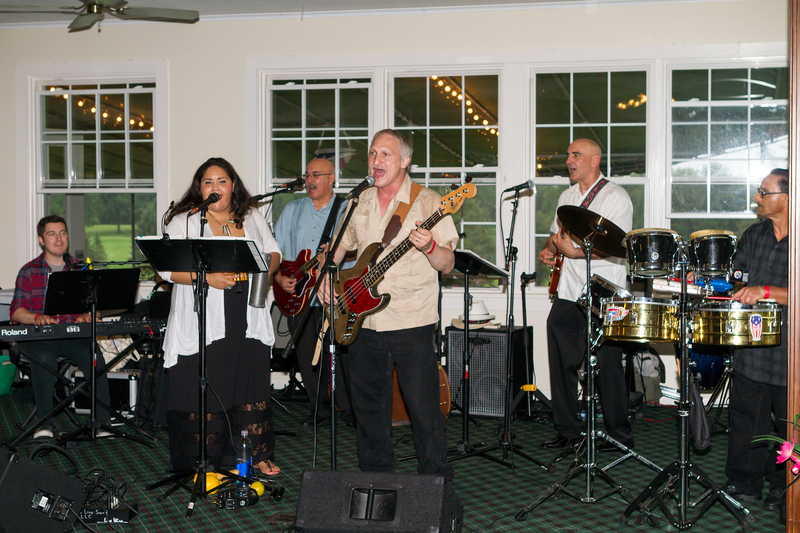 Their most wonderful combination of Boleros, Merengue, Rock and Pop tunes kept the well-fed attendees on the dance floor all evening. 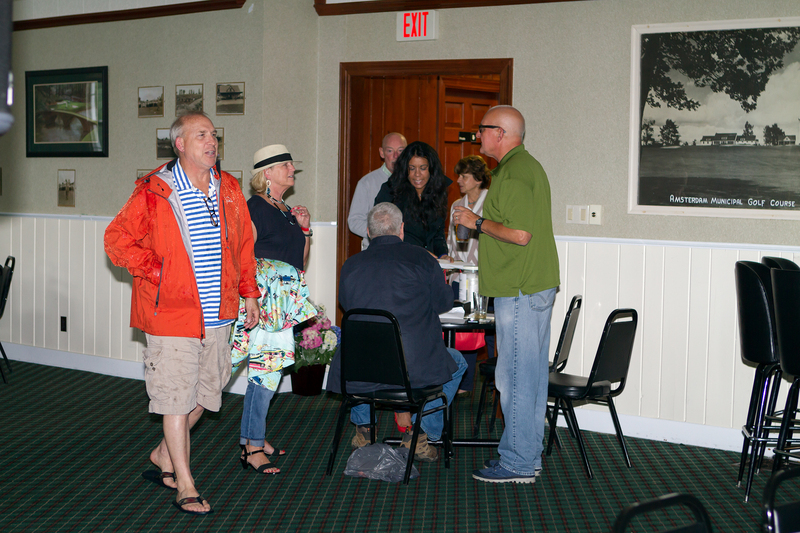 The combination of music, food and great conversation made us all forget about the torrential downpour outside. 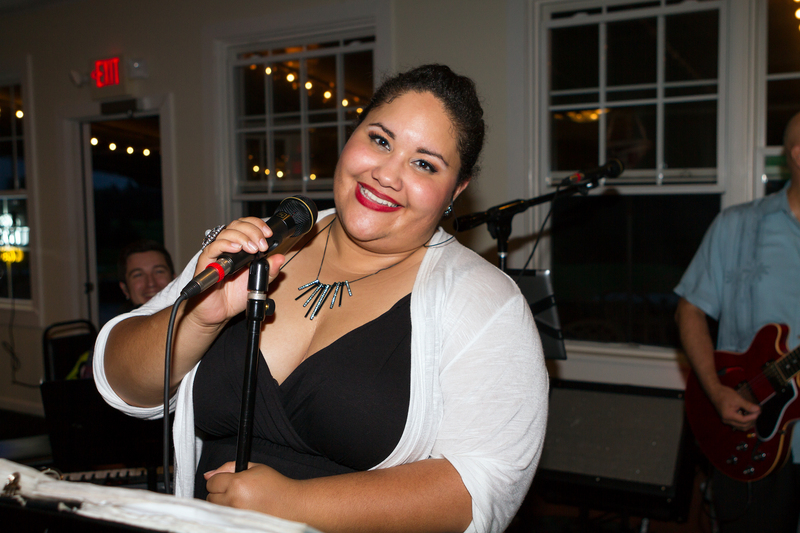 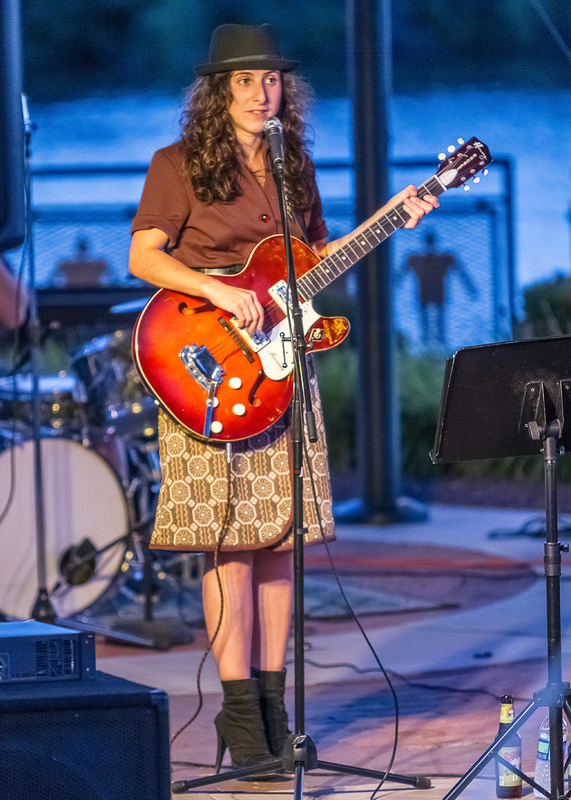 Those that missed the chance to hear Tropic Rhythm and the angelic voice of lead singer Dashira Cortes will have another chance as they perform in the Riverlink Park Concert Series on August 2, 2014. 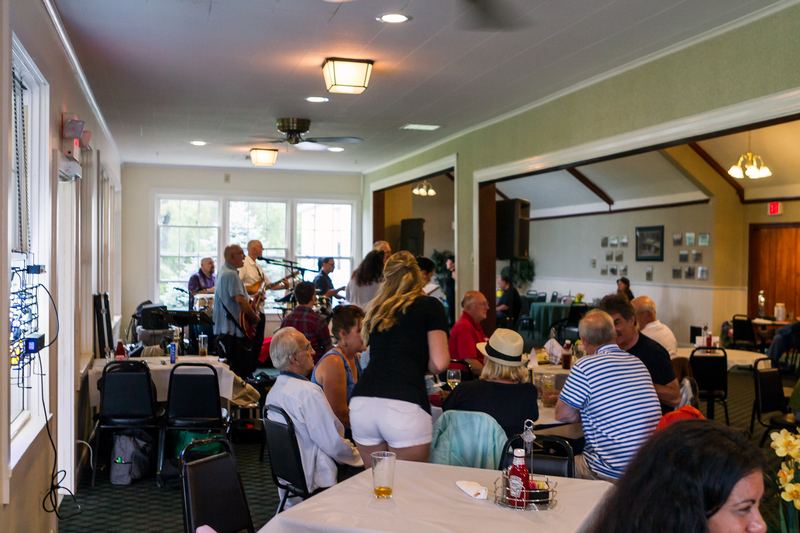 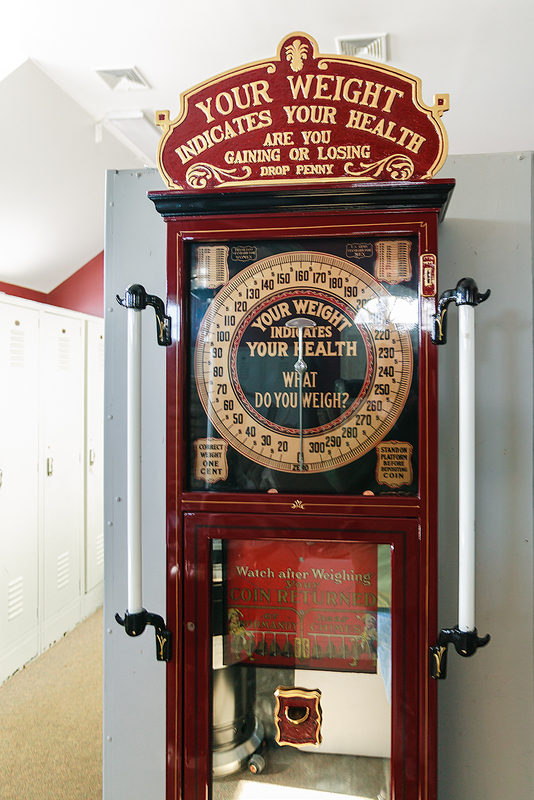 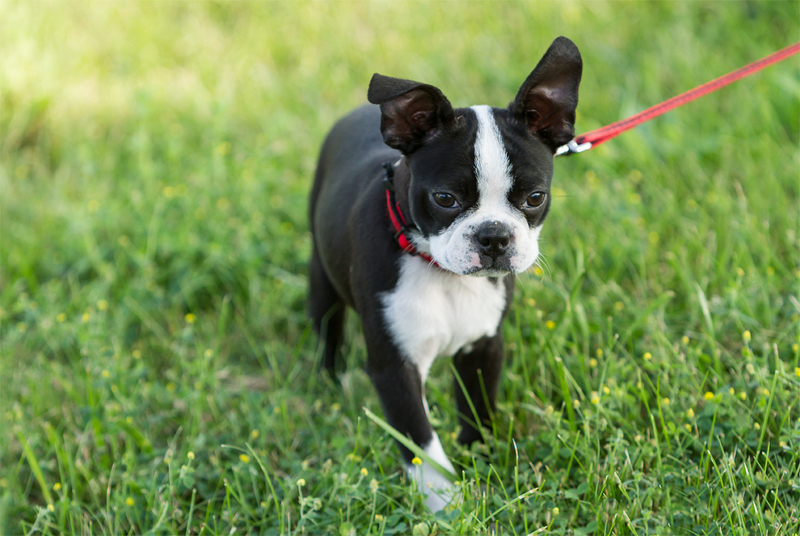 The Amsterdam Municipal Golf Course has been local news for the past few months. 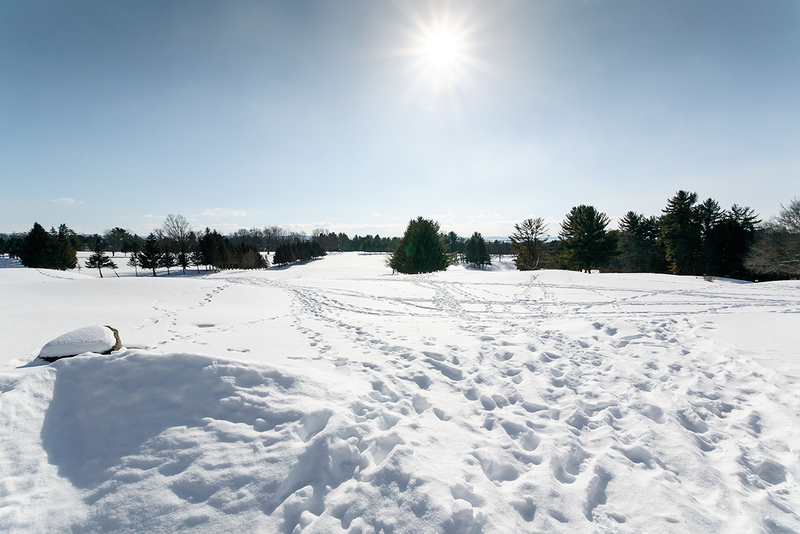 A new Common Council with a supermajority vote and a Mayor used to getting her own way have stalled contracts for both the golf pro and the concessionaire at MUNI. 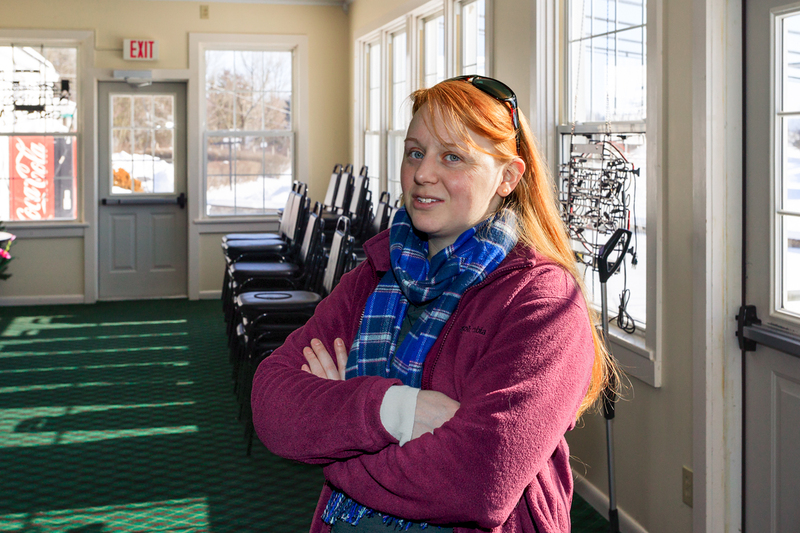 Laura Elmendorf is the concessionaire without a contract who has successfully run the restaurant and bar at the golf course. 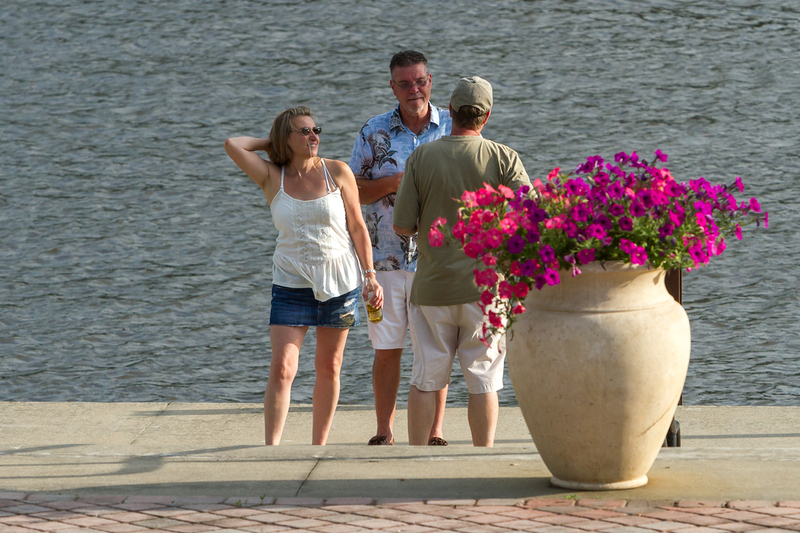 Still negotiating her contract, Laura is busy planning for this year’s events. 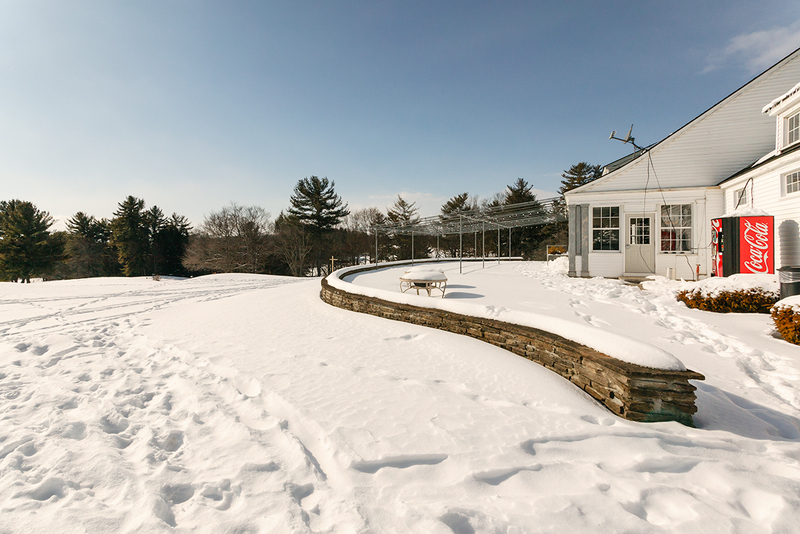 Although the concession used to be open on weekends during the winter, this year it is closed because a contract was never negotiated or signed last year. 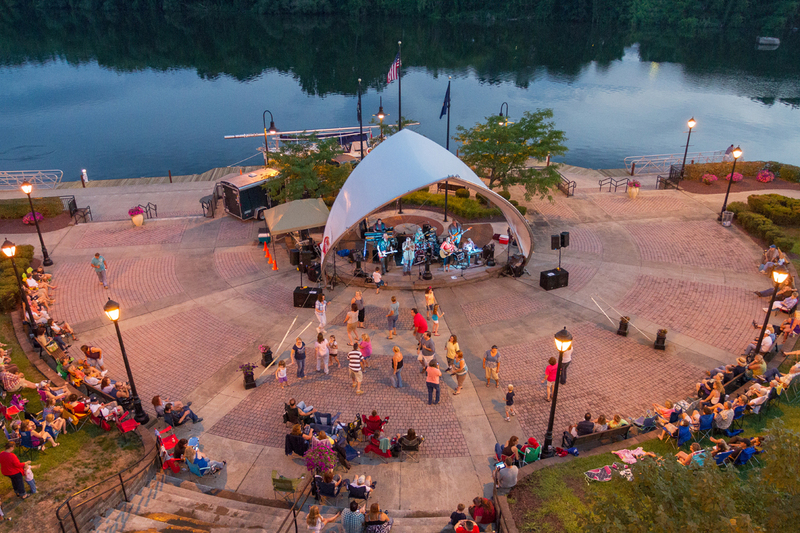 As a board member of the Amsterdam Waterfront Foundation, this blogger had the opportunity to meet and talk with Laura while planning a fundraiser to be held at MUNI in June. 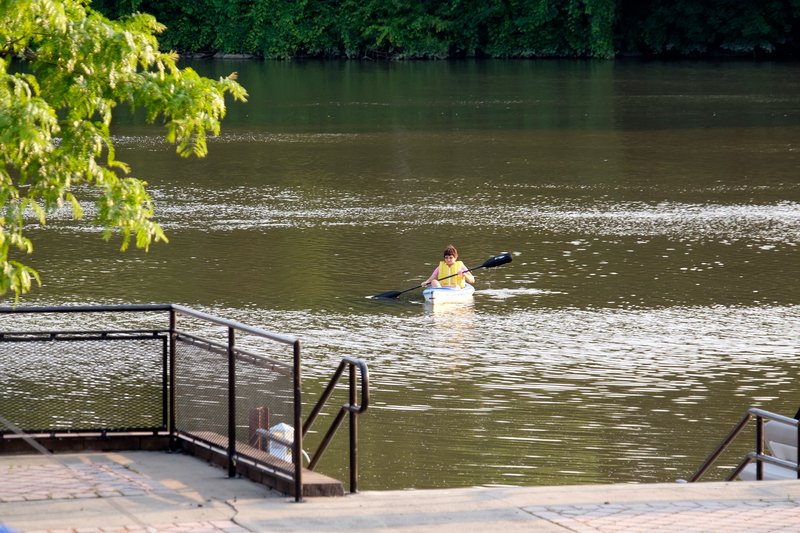 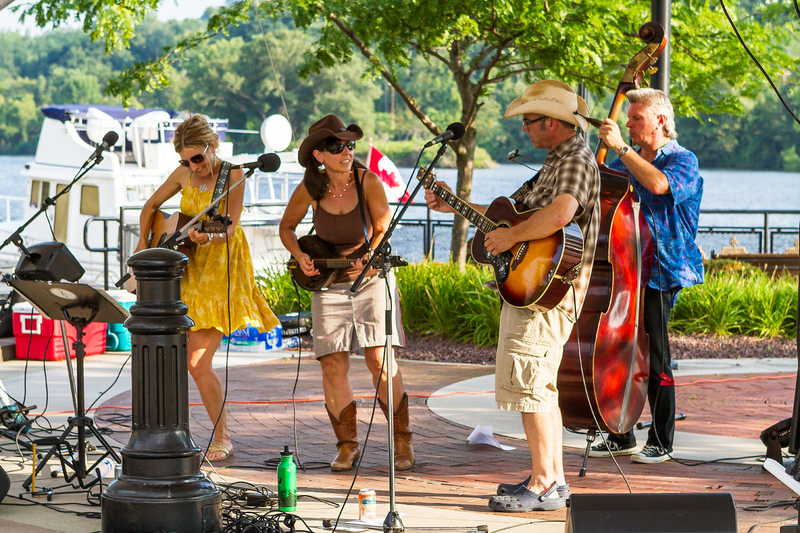 Every year the Foundation is tasked with raising money, organizing and presenting Riverlink Concerts to the public free of charge. 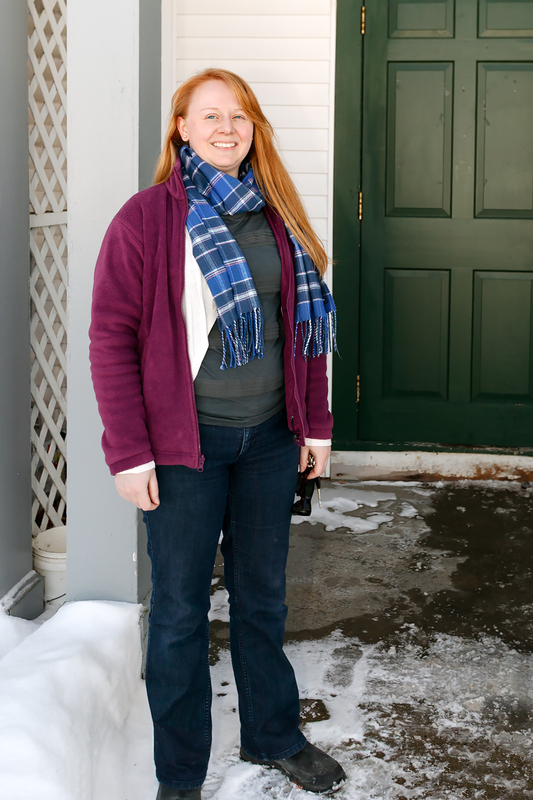 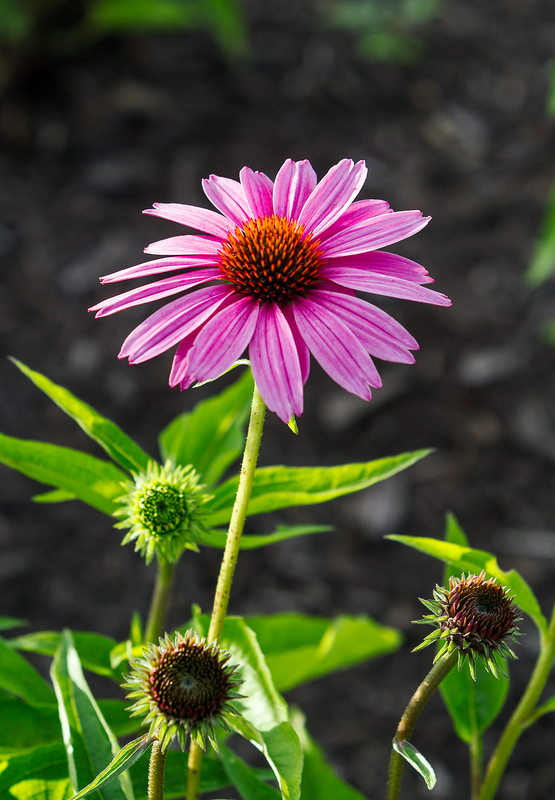 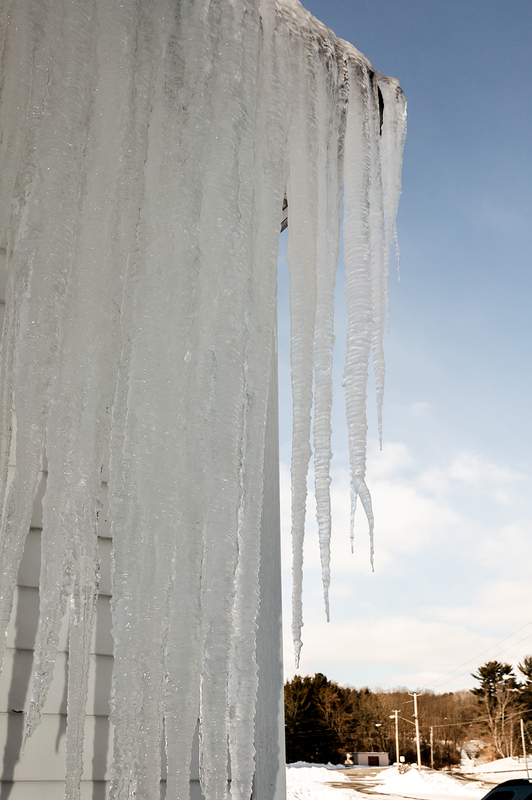 Laura is very pleasant, knowledgeable and personable. 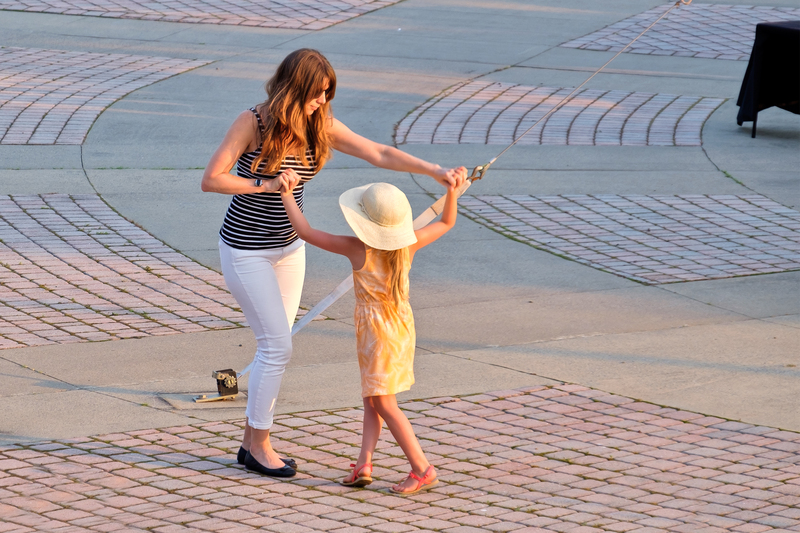 She seems much wiser than her years. 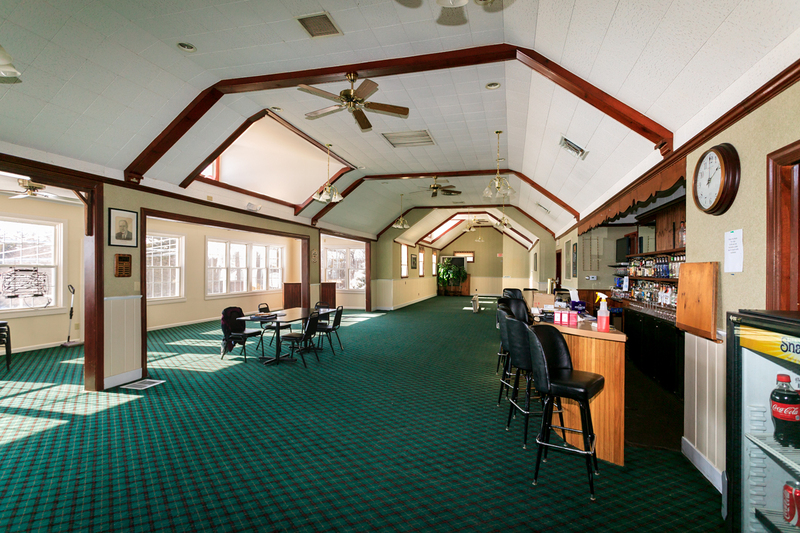 My visit to MUNI was to get a better idea of the layout and space. 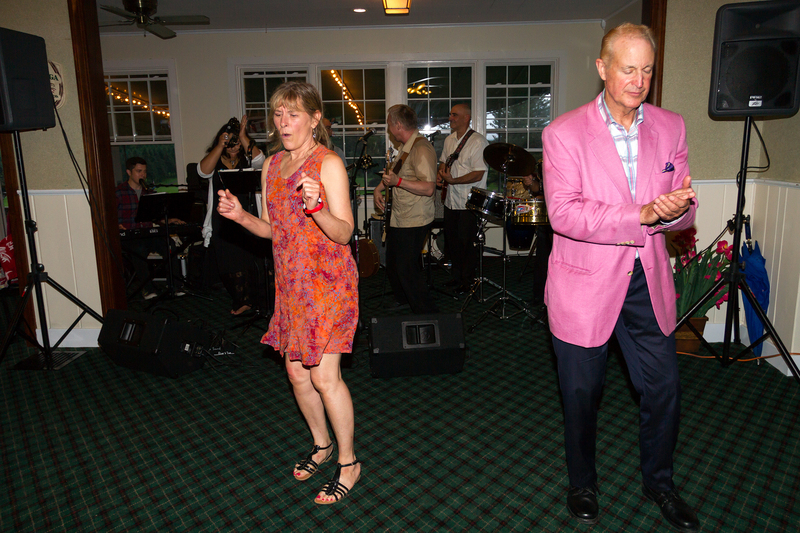 The AWF fundraiser will be announced as soon as we have a firm commitment, that being easier said then done. 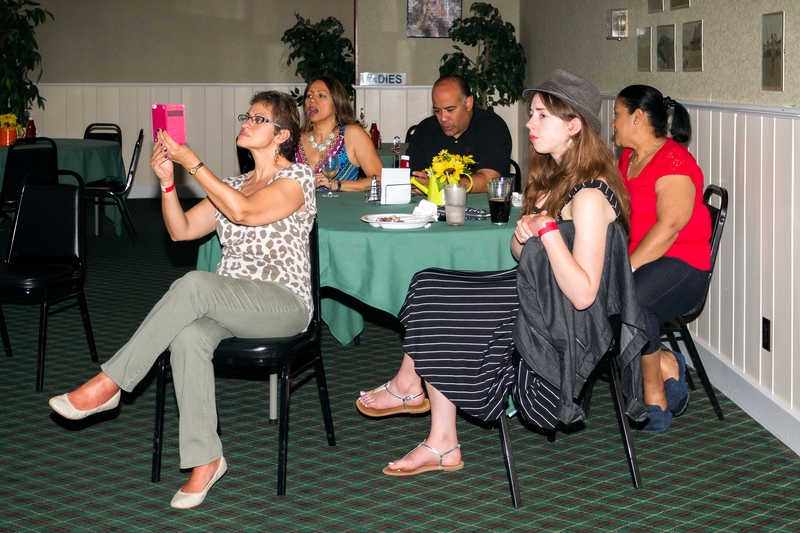 Laura was ready with menu choices, reasonable prices and suggestions. 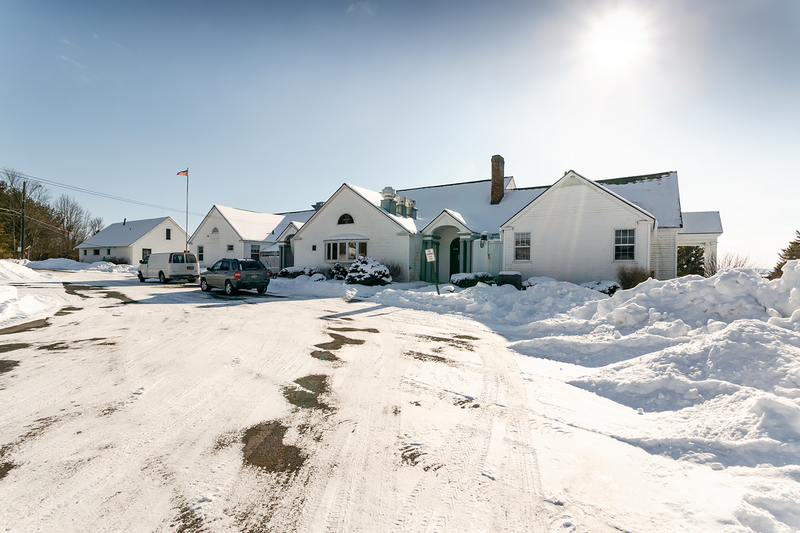 The venue was larger than I imagined and the views were gorgeous, even in the winter! 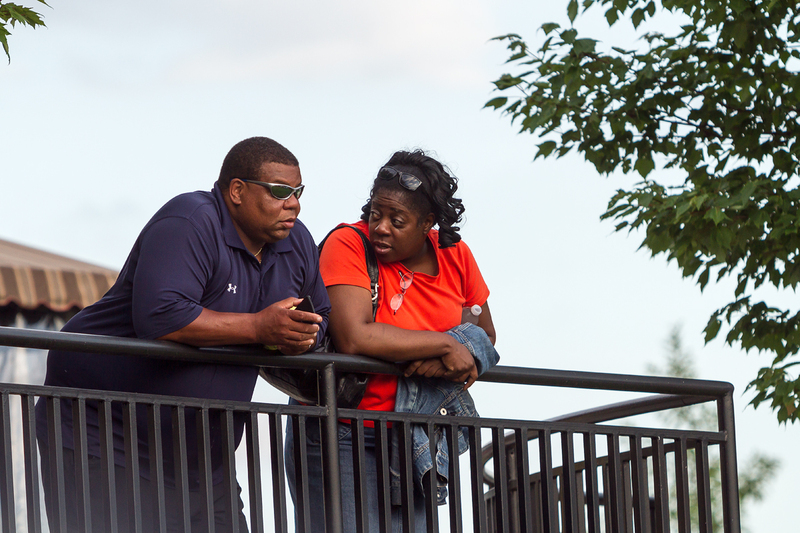 I sincerely hope the responsible parties take care of these contracts soon before scheduling opportunities are lost. 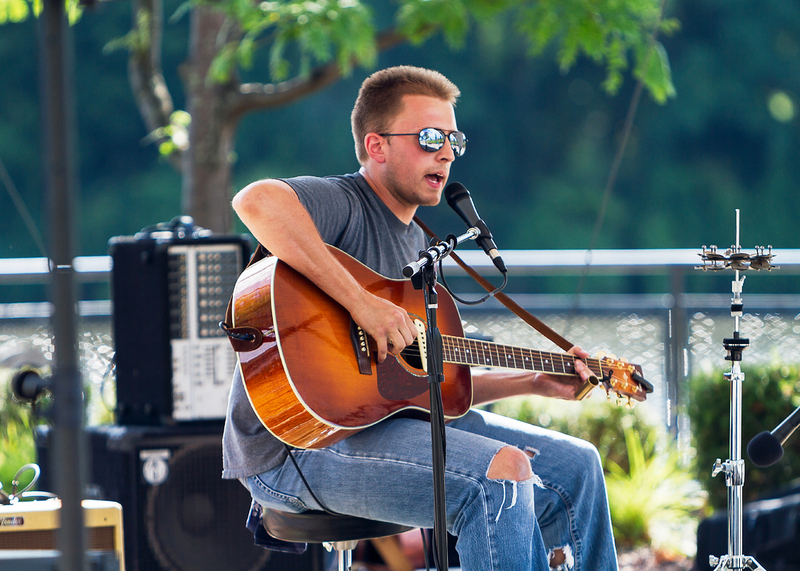 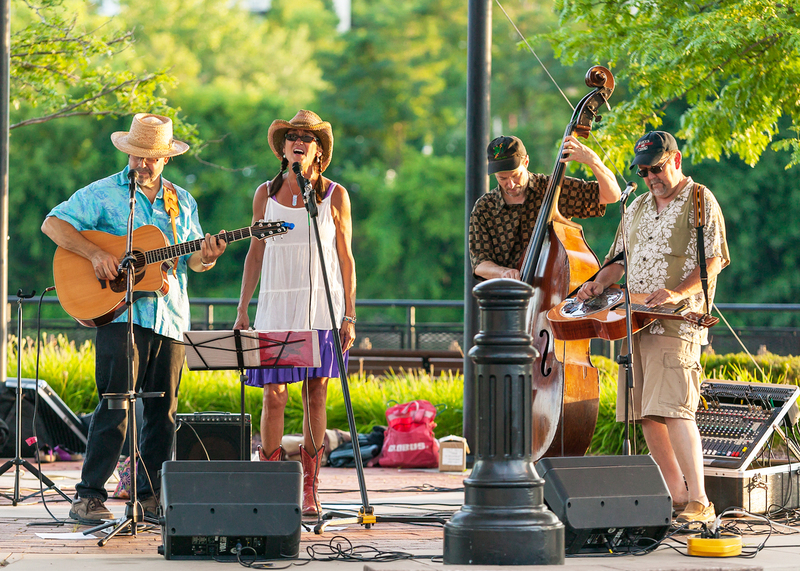 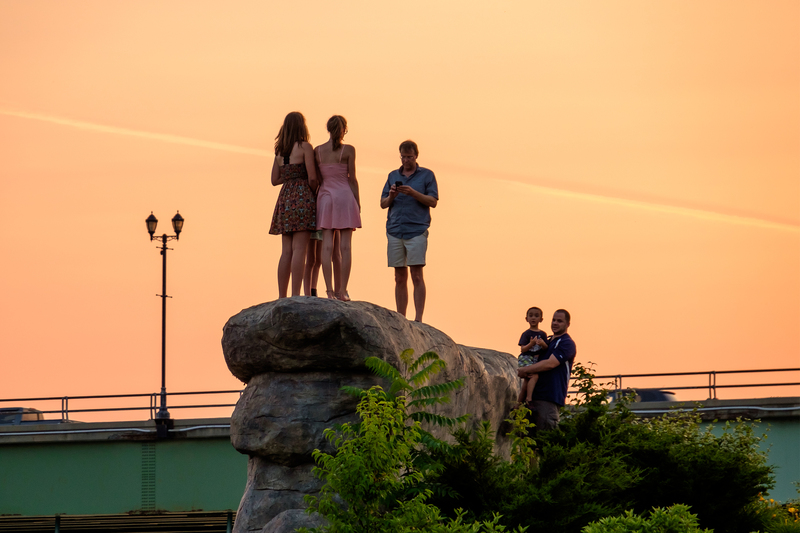 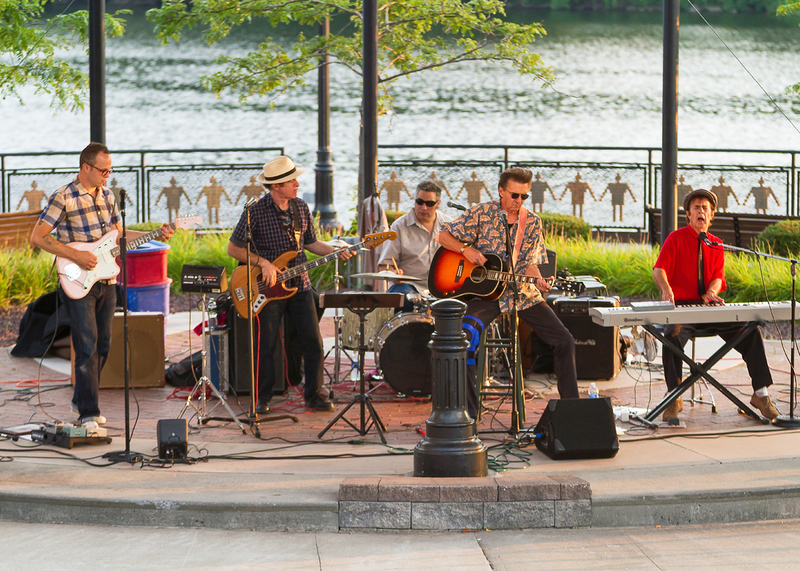 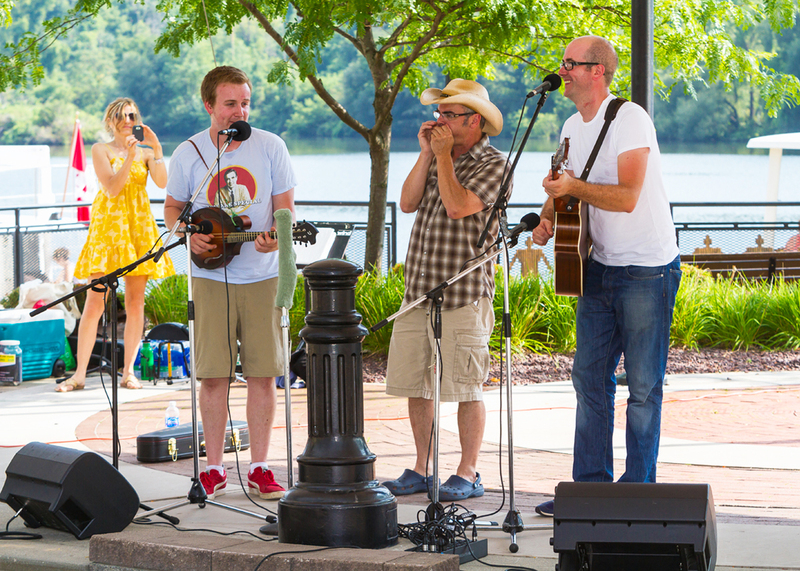 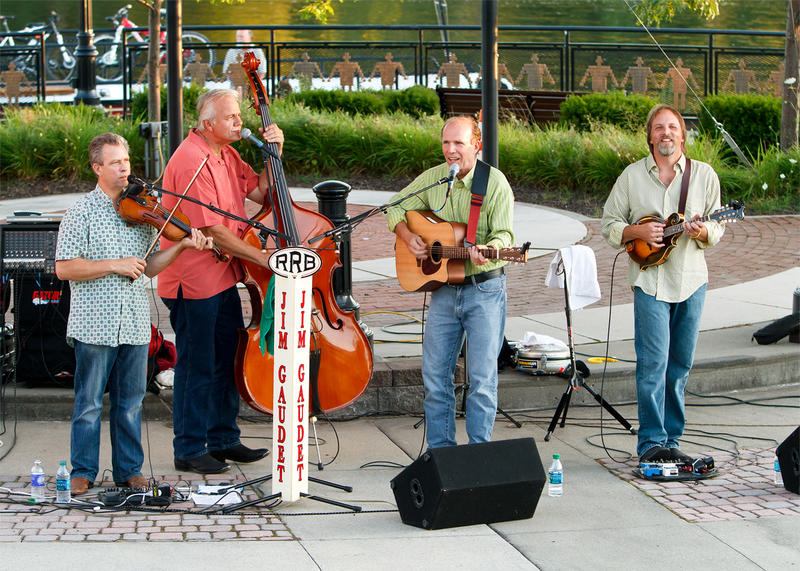 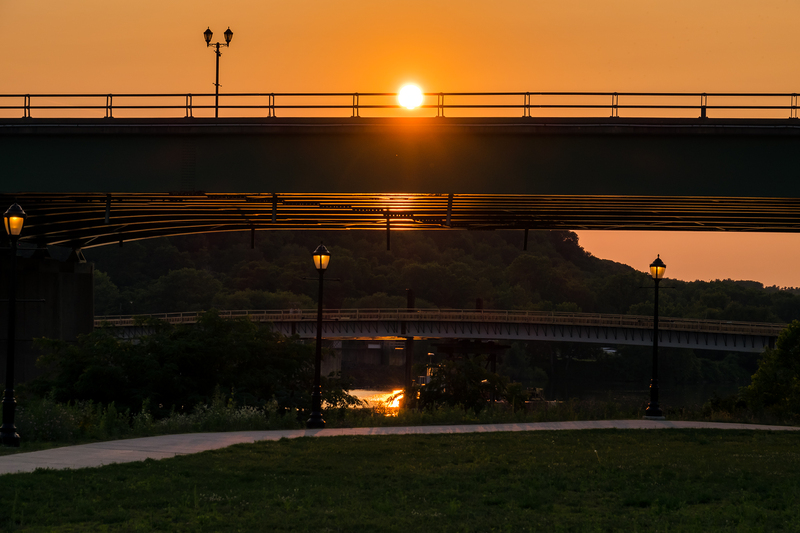 The second of the Riverlink Park Concerts spotlights Low ‘n Lonesome as the opening band with Lucky Tubb & The Modern Day Troubadours as the featured band. 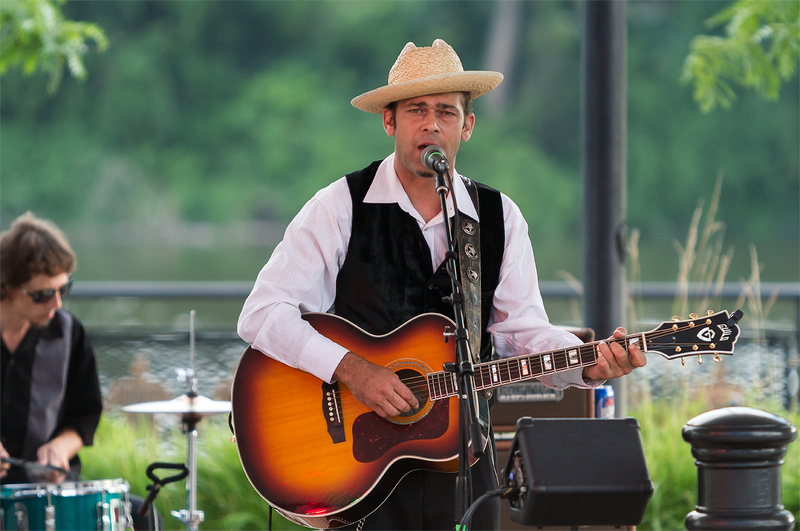 Low ‘n Lonesome (Rob Adkins and Phil Drum) played some of the finest old-time Blues and Ragtime to be heard anywhere. 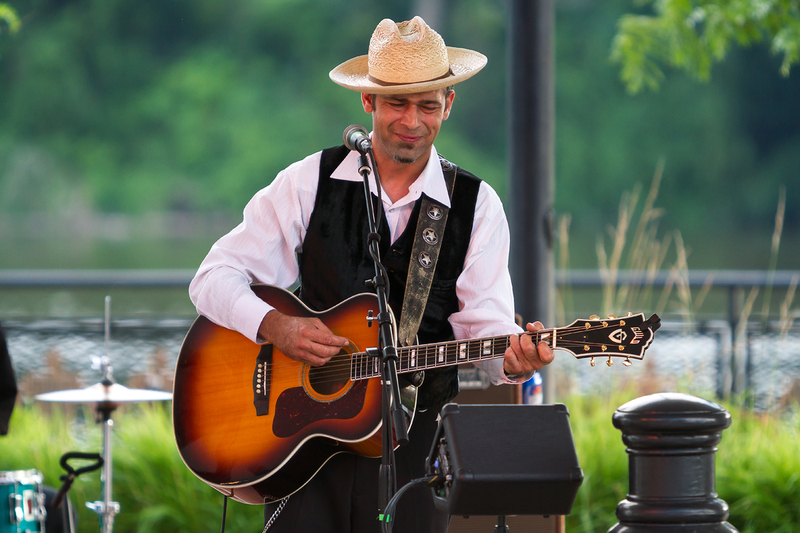 Nephew of country icon Ernest Tubb, Lucky’s style is reminiscent to the raw, original country and honky-tonk styles of the earliest Nashville artists. 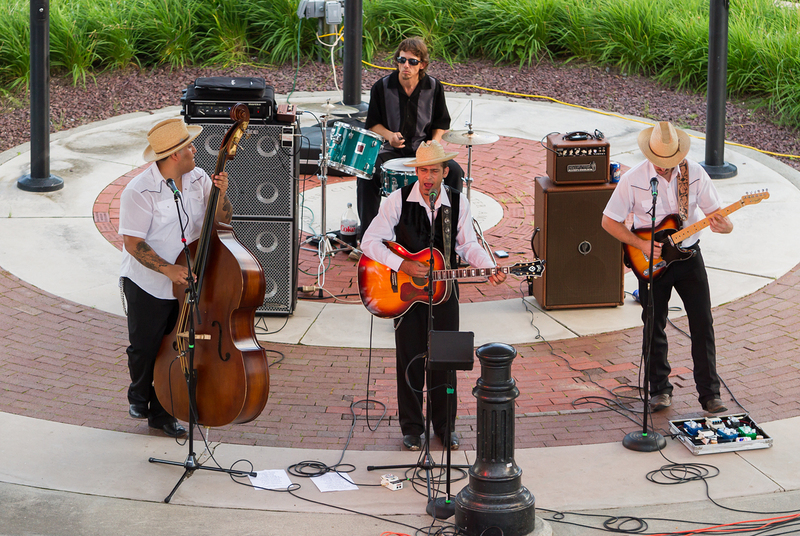 After touring as opening act for Dwight Yoakam, Ray Price, and Hank III, Tubb & the Modern Day Troubadours showcase their strong traditional influences that have run in the family for years. 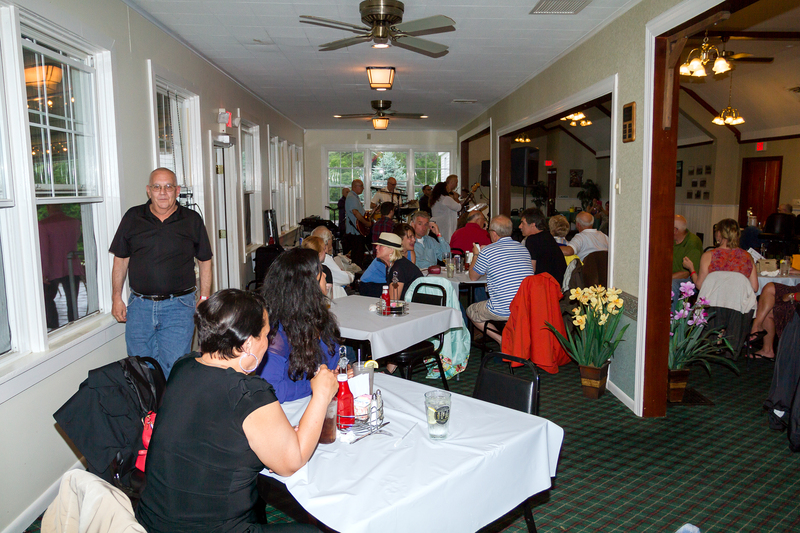 The Amsterdam Waterfront Foundation is pleased to participate in Ruby Tuesday’s Community Giveback Program. 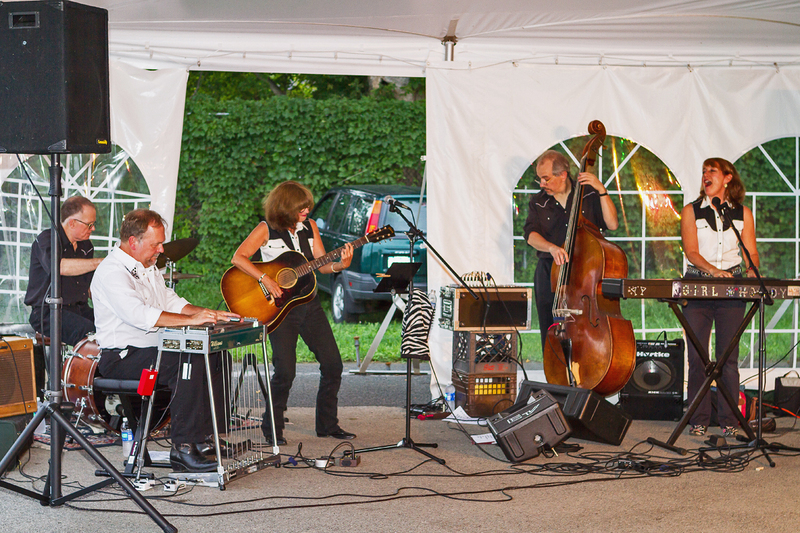 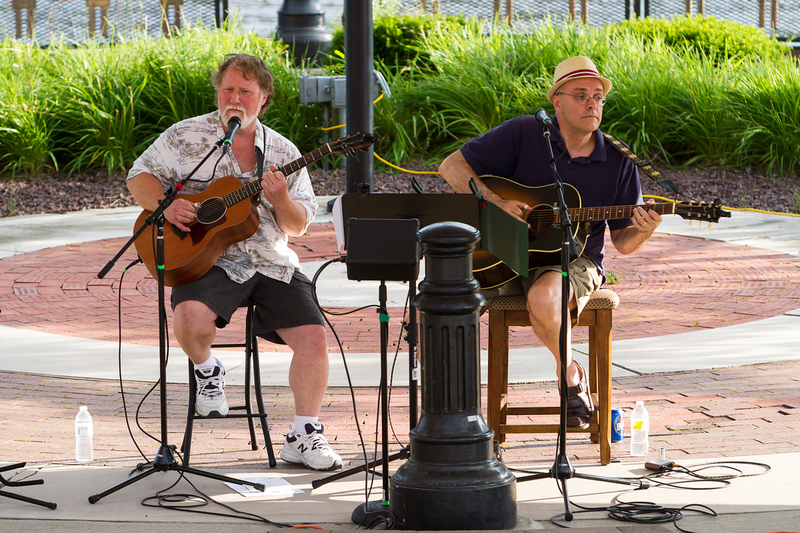 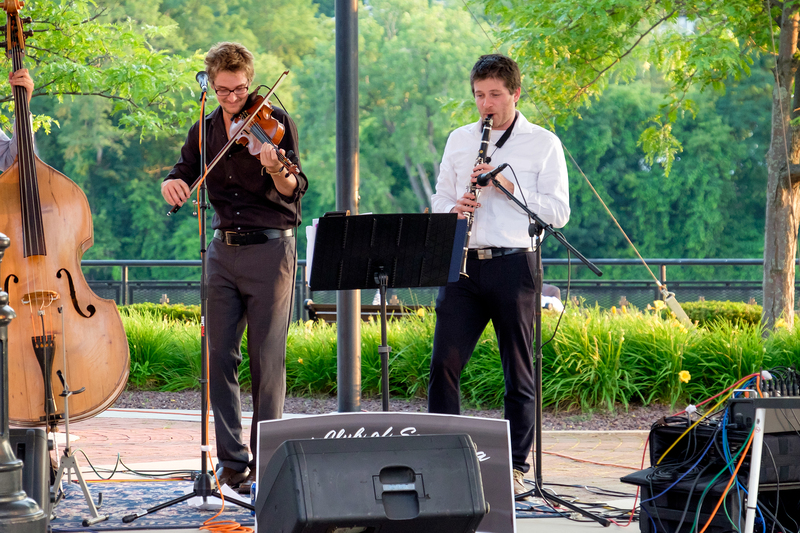 Join us at Ruby Tuesday’s, Hannaford Plaza, Route 30, Amsterdam on September 13, 14 and 15.Here are some photos of the wonderful entertainment brought to you free of charge through efforts like this by the Amsterdam Waterfront Foundation. 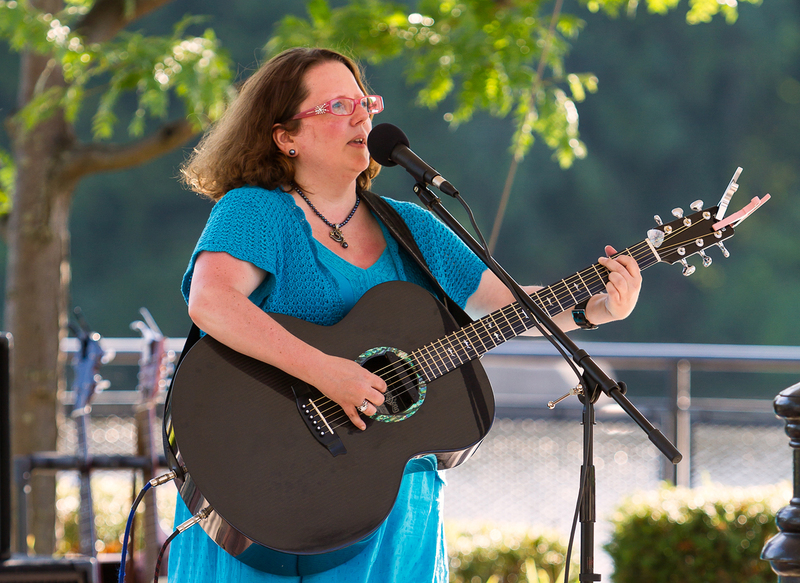 Please donate to help fund these events. 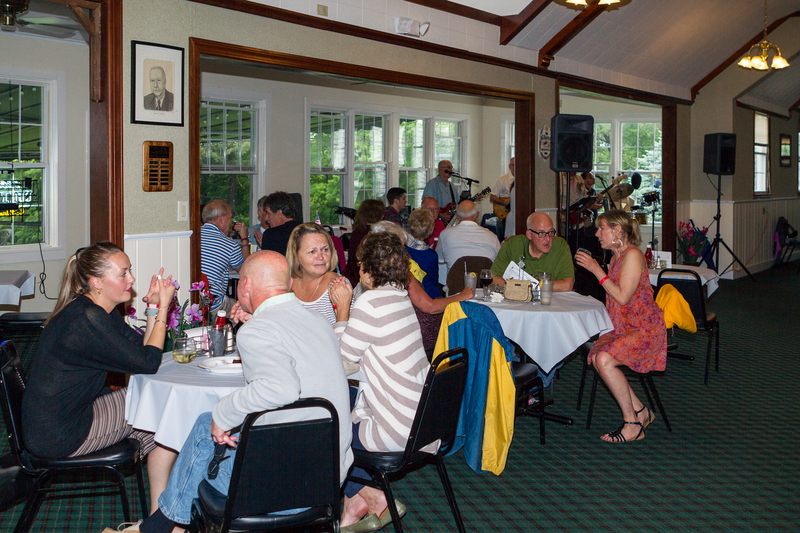 All you have to do is dine at the Amsterdam, NY Ruby Tuesday on September 14 or 15th and 20% of the cost of your meal will go to the Amsterdam Waterfront Foundation to help fund the concert series. 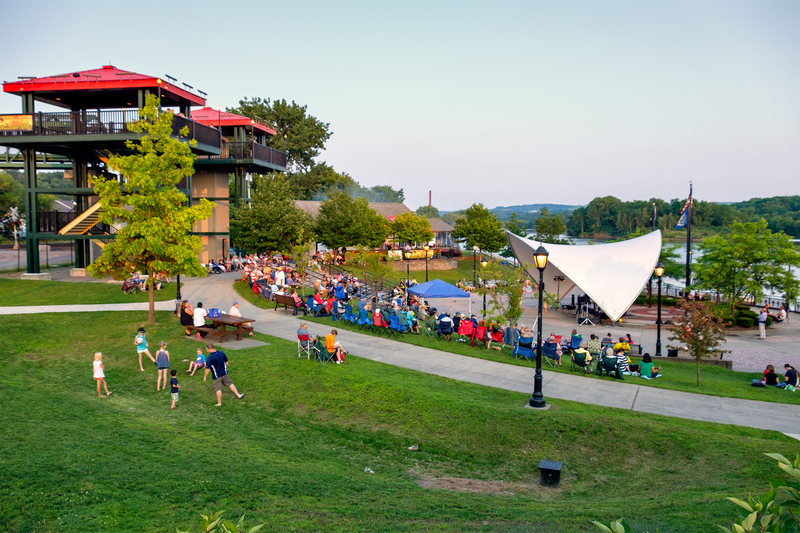 You must present your server with a coupon that you can download and print at www.riverlinkconcerts.com. 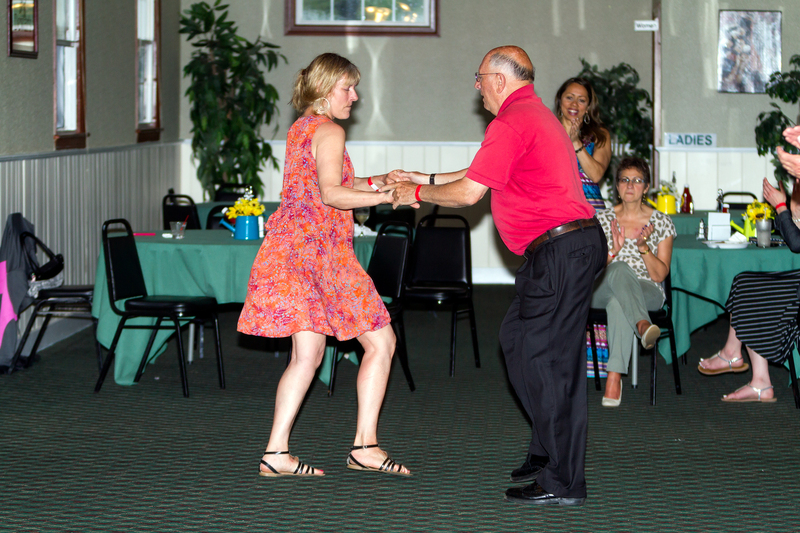 YOU MUST BRING THE COUPON WITH YOU!